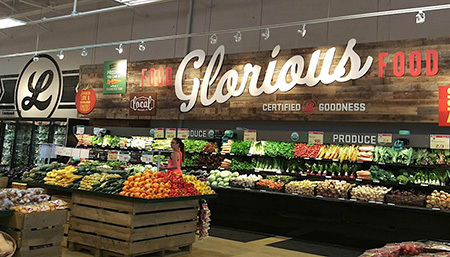 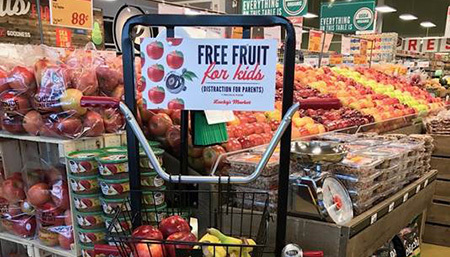 GSP turns growth strategies into store-level success stories. 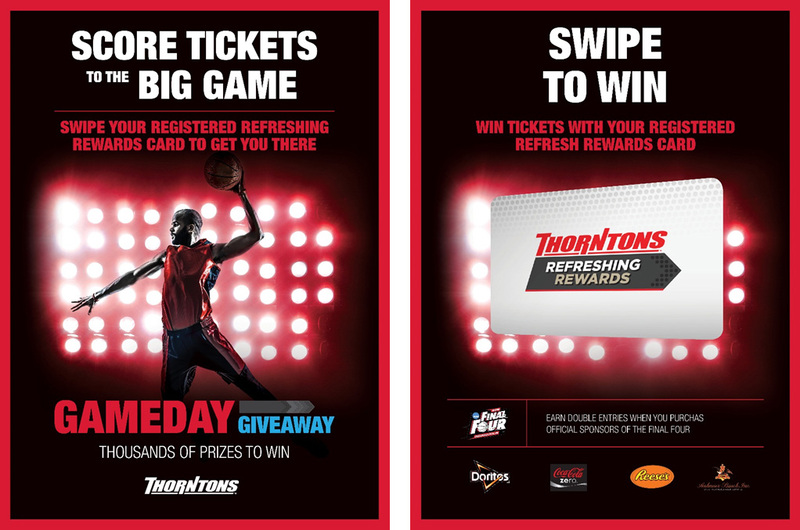 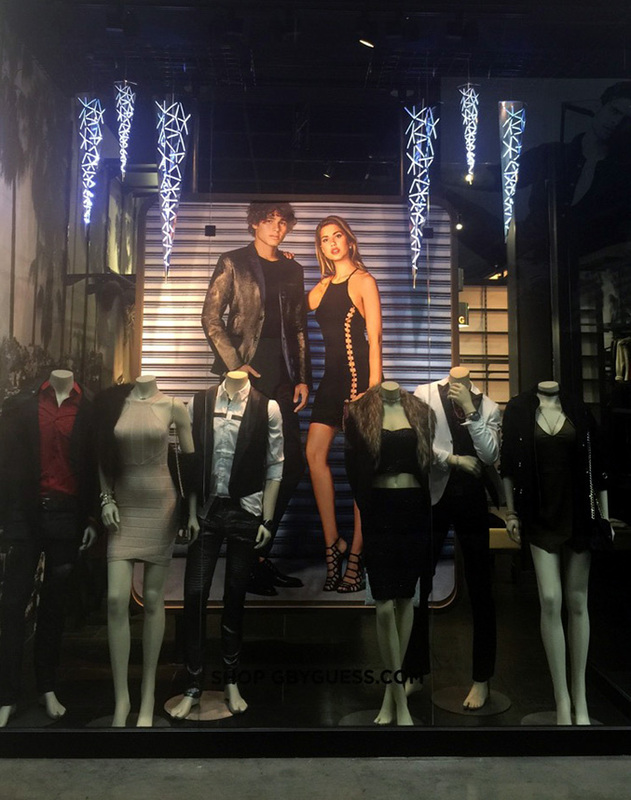 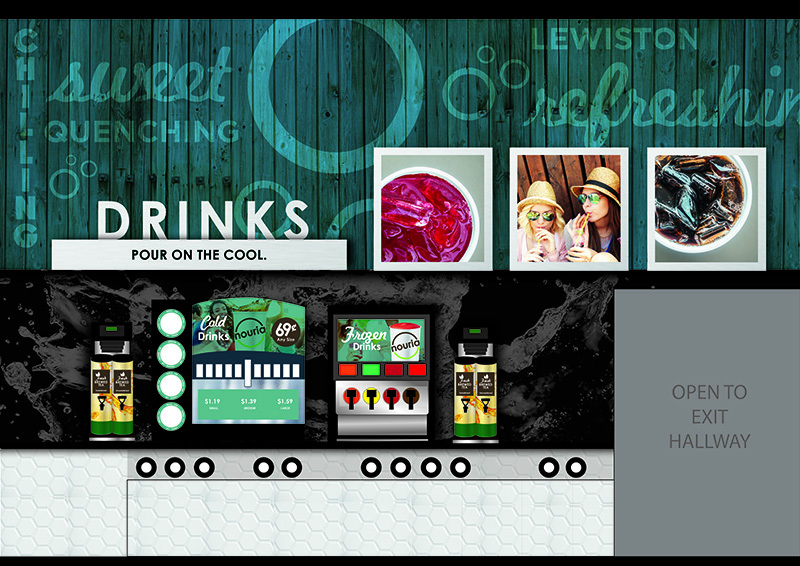 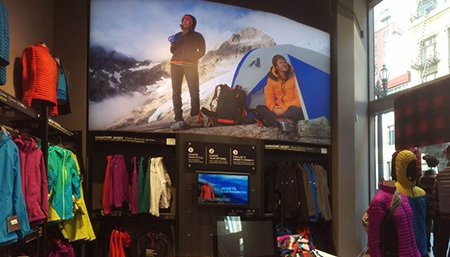 We’re proud to create high-impact visual solutions to elevate the store experience. 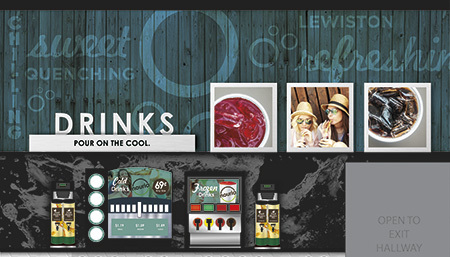 We encourage you to explore our ideas for branding, photography, POP signage, visual merchandising and store re-imaging. 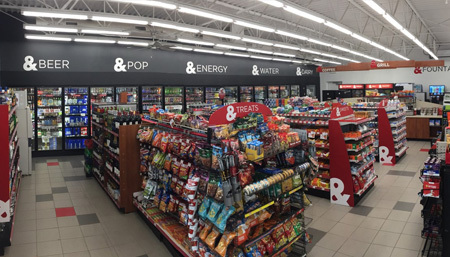 To help move Giant Oil’s On the Fly stores forward, we designed a new brand identity package giving the store a smart, modern and friendly look. 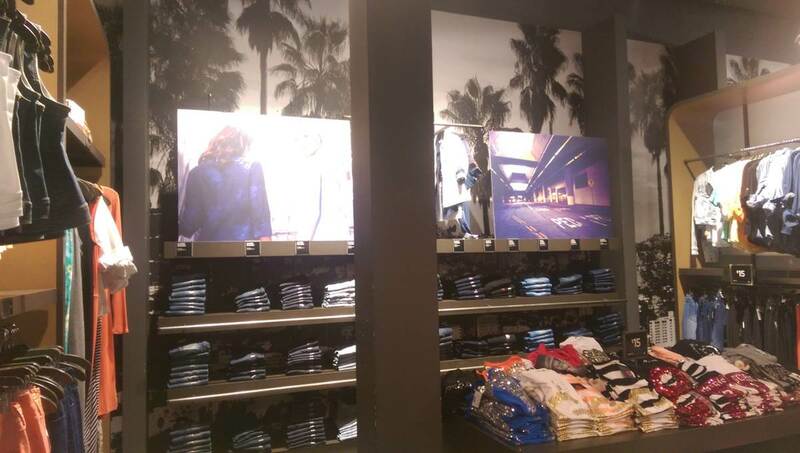 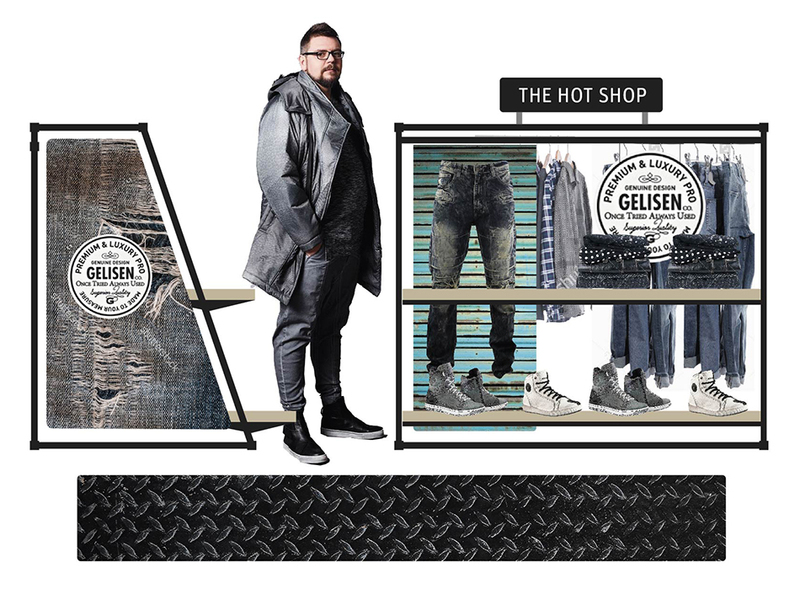 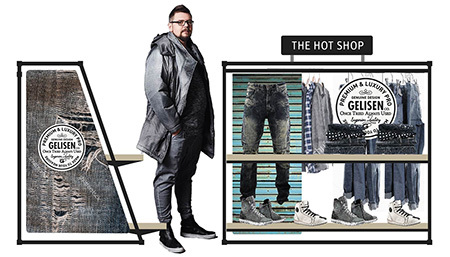 Large wallpaper graphics create impact throughout the G by Guess stores for an improved customer experience. 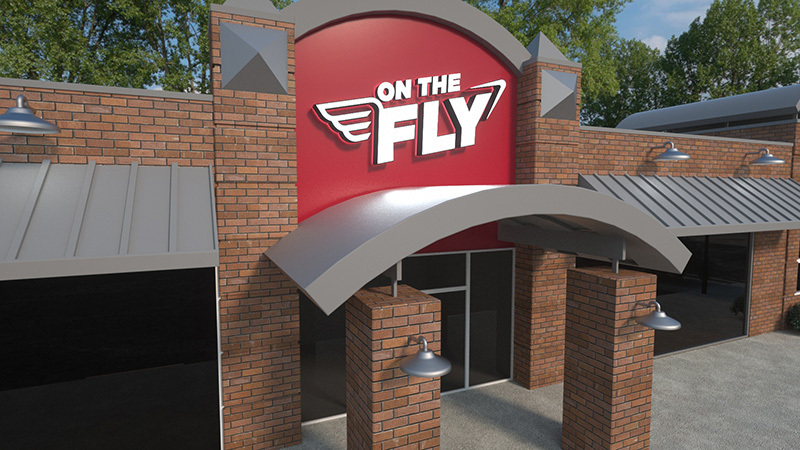 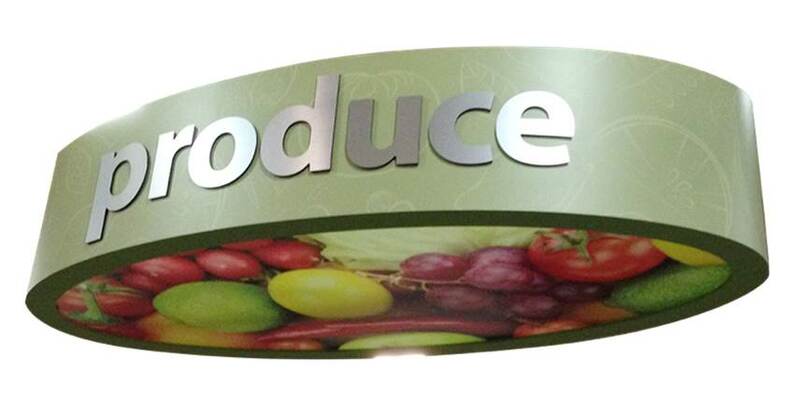 Signage and fixturing join to form a self-contained promotional campaign. 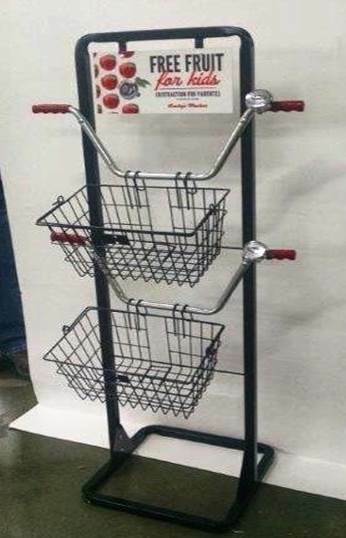 It includes wire basket and bike handlebars with a bell. 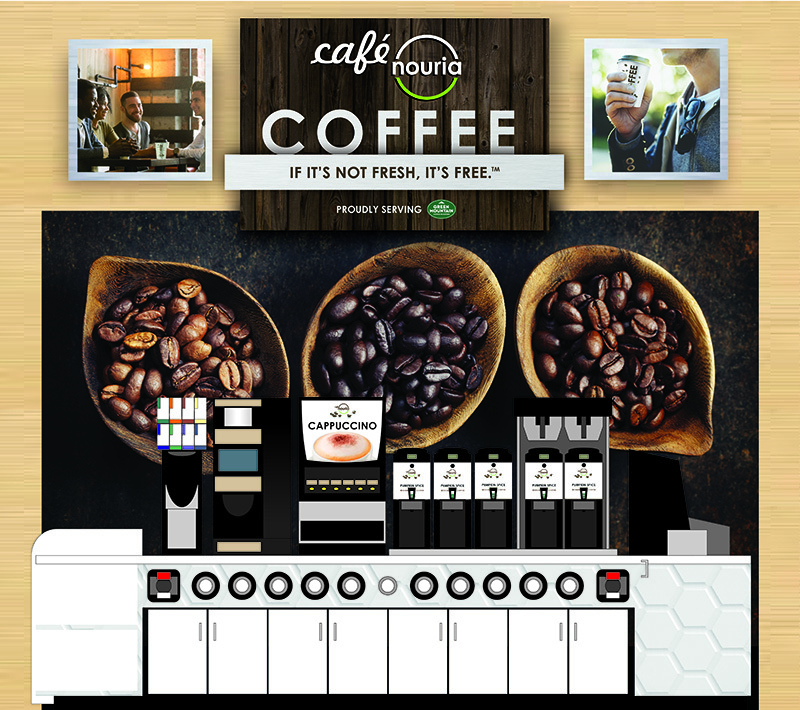 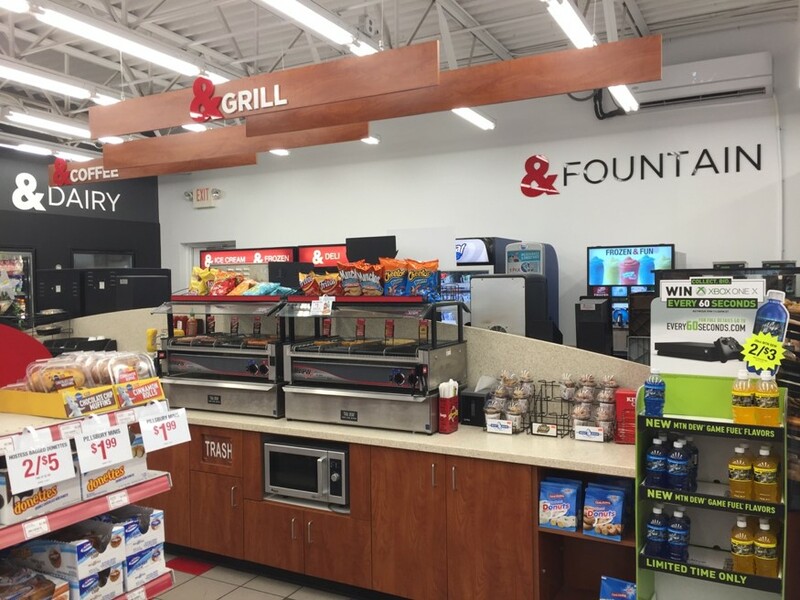 Combining large, bold graphics with iconic area photography, GSP created a new brand and store experience for Nouria in Lewiston, Maine. 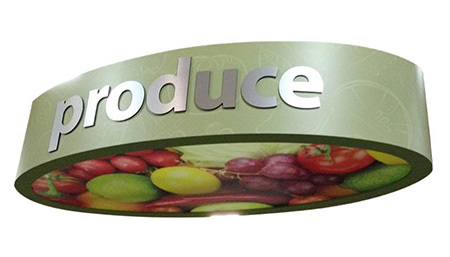 Precisely fabricated ceiling ring is strategically hung to create a mini destination. 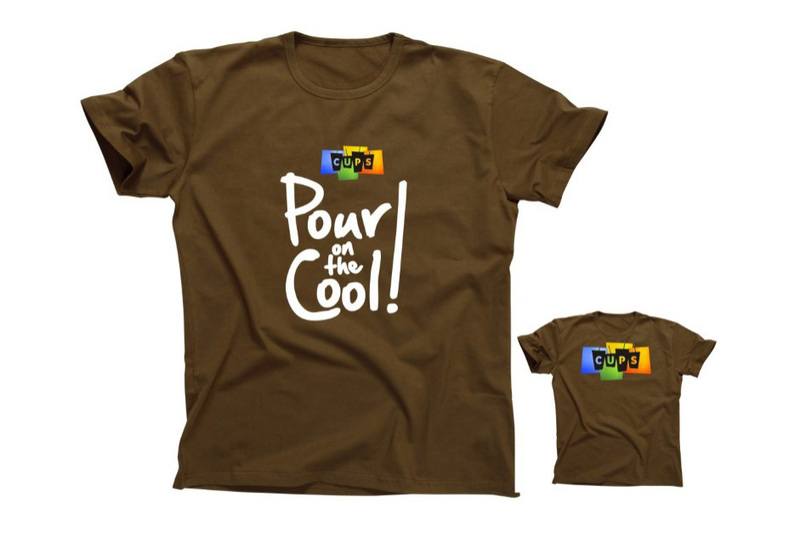 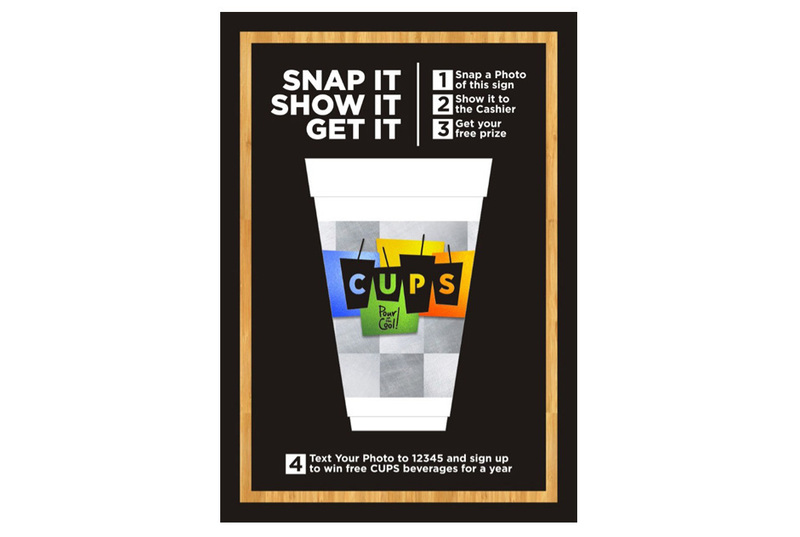 It features metallic lettering on outer surface and custom printed image on bottom. 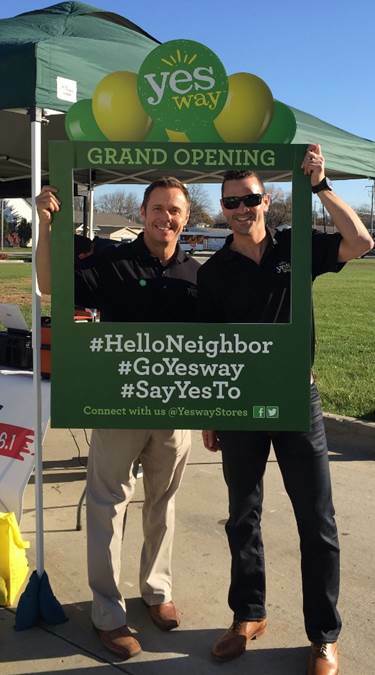 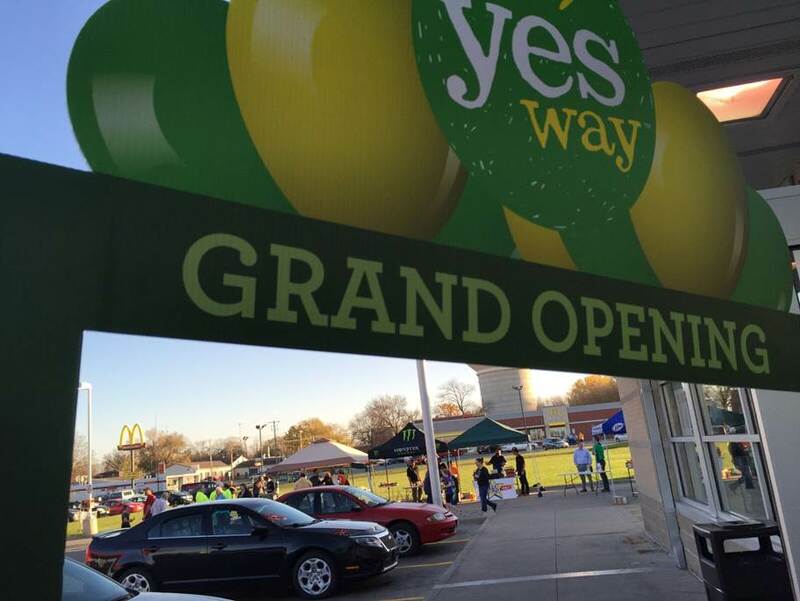 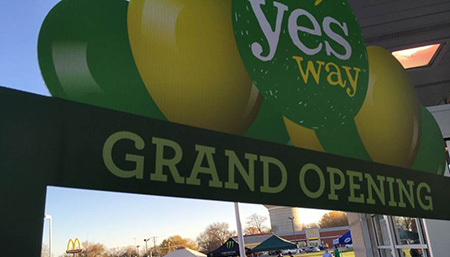 We created a grand opening package for Yesway’s multi-store Midwest launch that was easy to execute simultaneously at the store level. 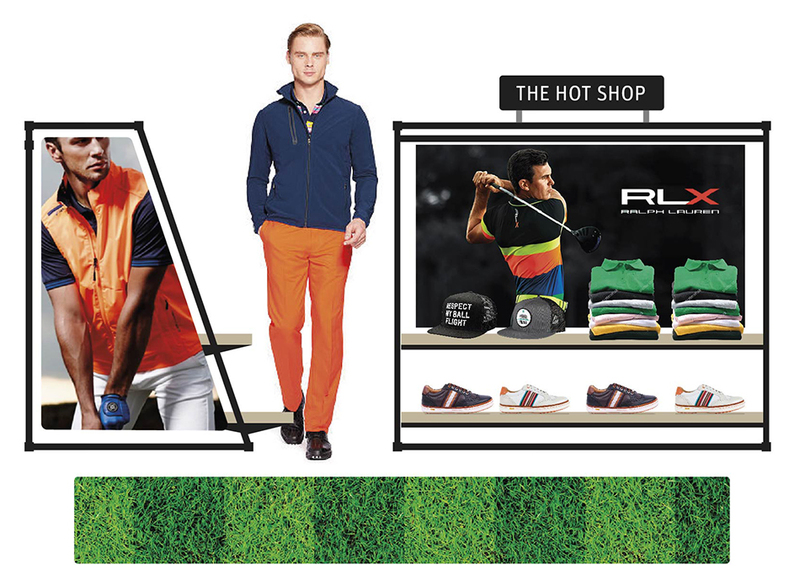 We approach campaigns from an omnichannel perspective, considering special events, social media, collateral and POP. 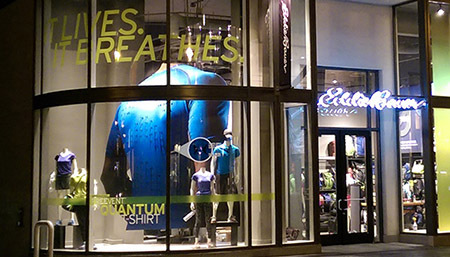 An example of the impact you can have when you use your windows to tell one big story. 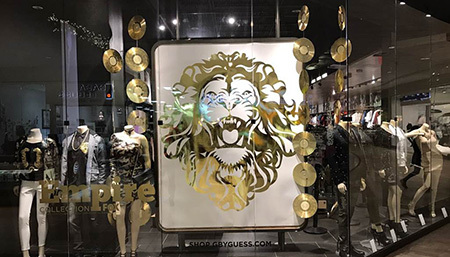 Similar to bus wraps, our vinyl window coverings feature technology so stores can still see out. 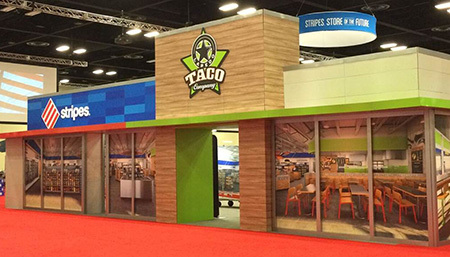 We created a 50-foot façade of Stripes’ new Store of the Future using Falcon board for an industry tradeshow and a mini 3D prototype of our work in the store lab to plan before construction. 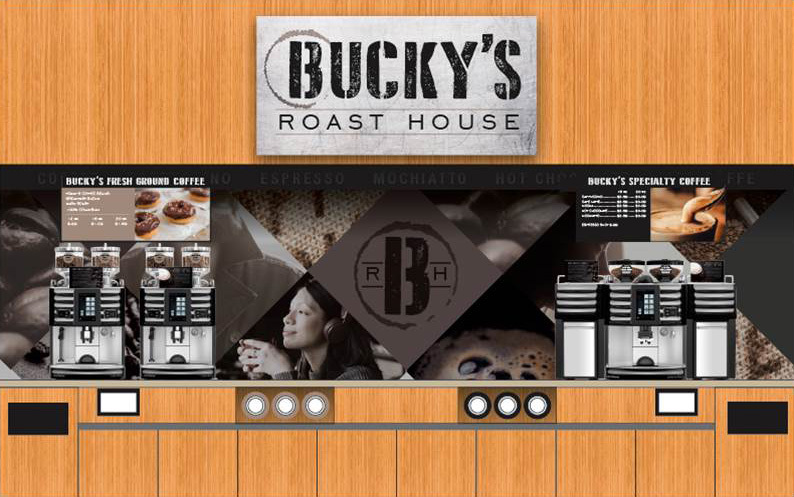 We helped Bucky’s promote their new gourmet grind with a reimaging campaign. 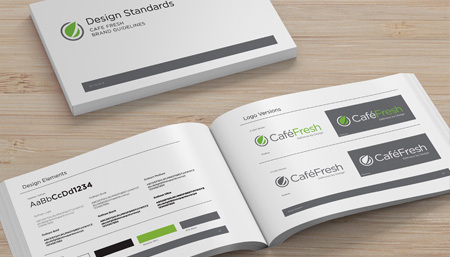 It included a logo, sepia-toned photography for lifestyle graphics. 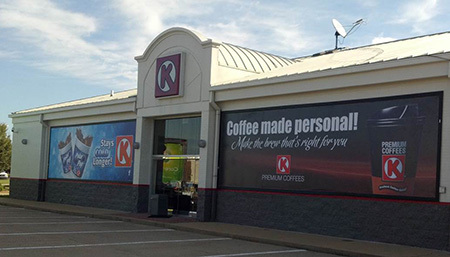 We drove traffic from the lot with impactful pump toppers and window banners. 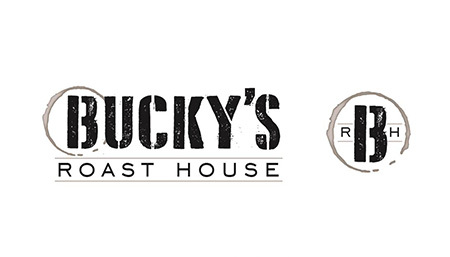 Never underestimate the power of your customers in promoting your brand: Now Bucky’s Roast House coffee cups act as walking billboards. 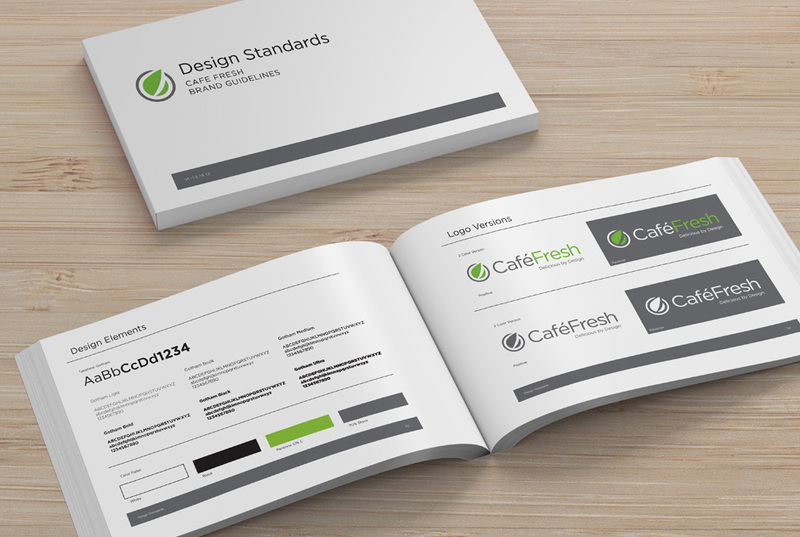 We can help you create or refresh your brand standards for internal and external use, incorporating logos, color palette and fonts. 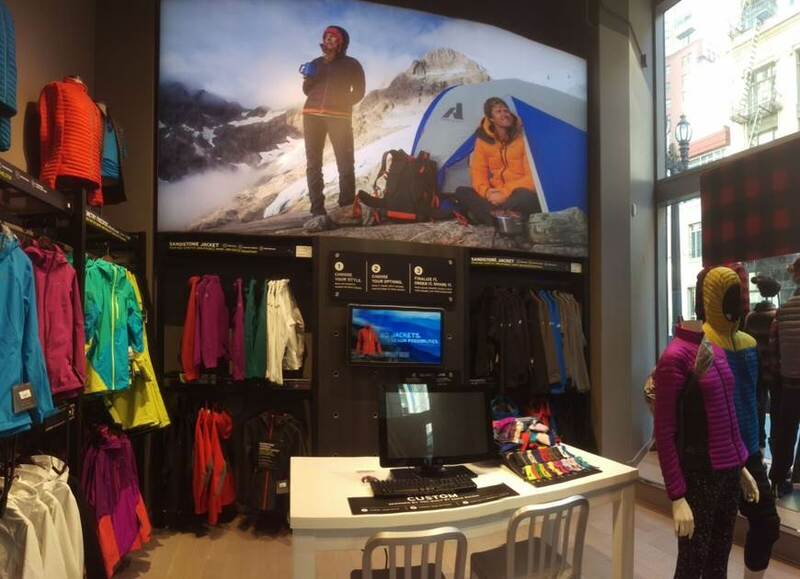 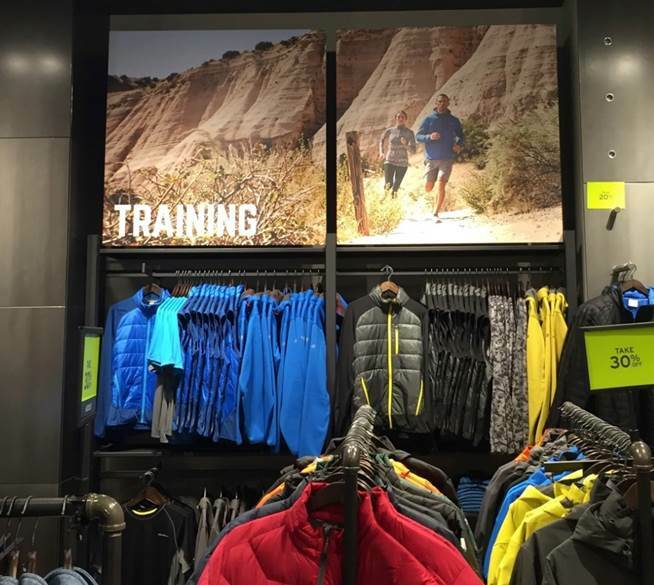 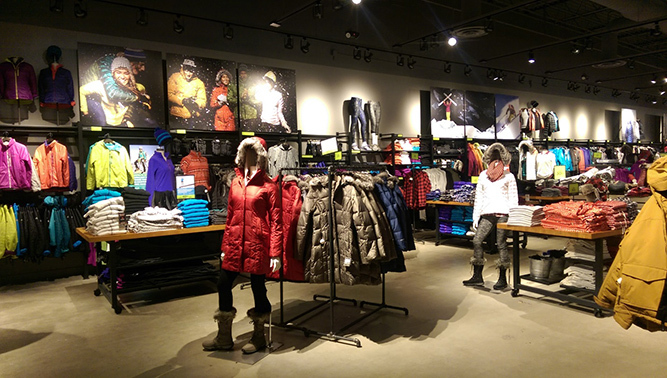 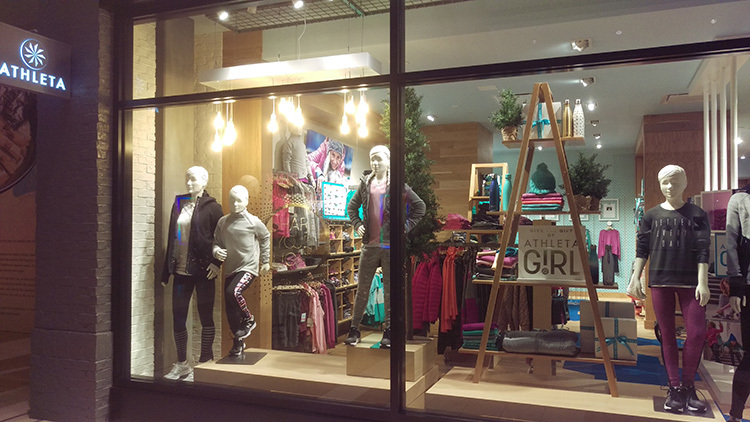 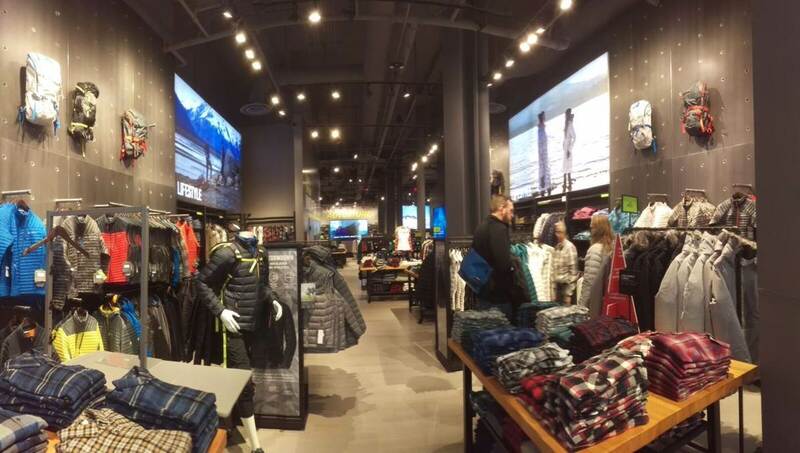 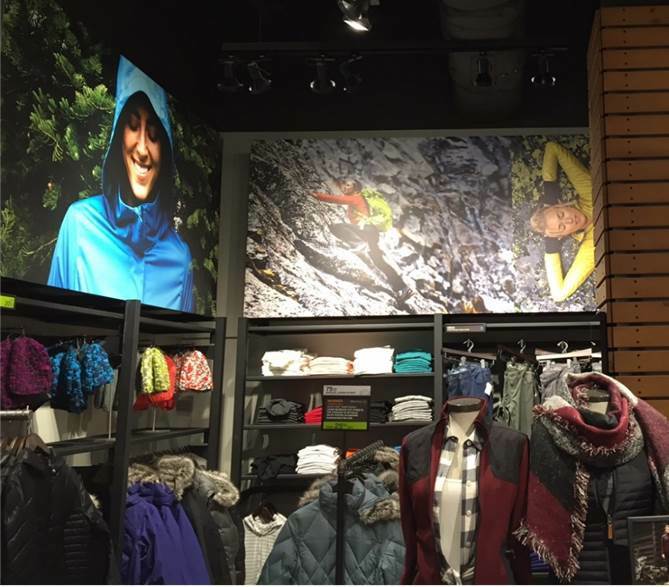 We created impact throughout the Eddie Bauer stores with large lifestyle graphics. 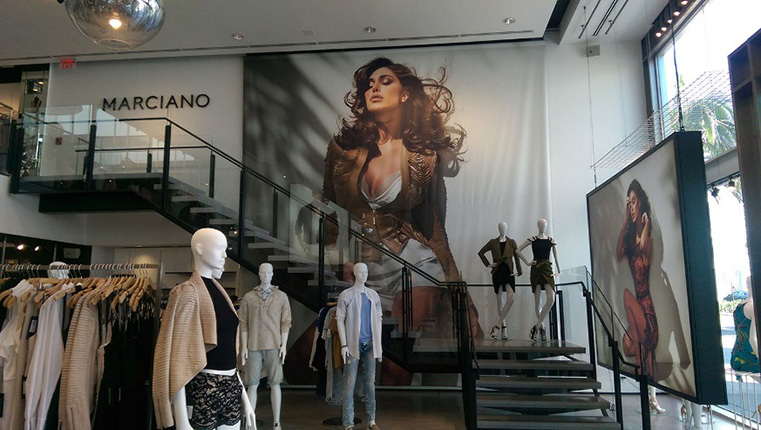 Oversized imagery to emphasize the sculpturesque artistry of your product. 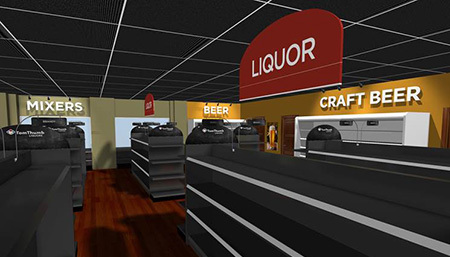 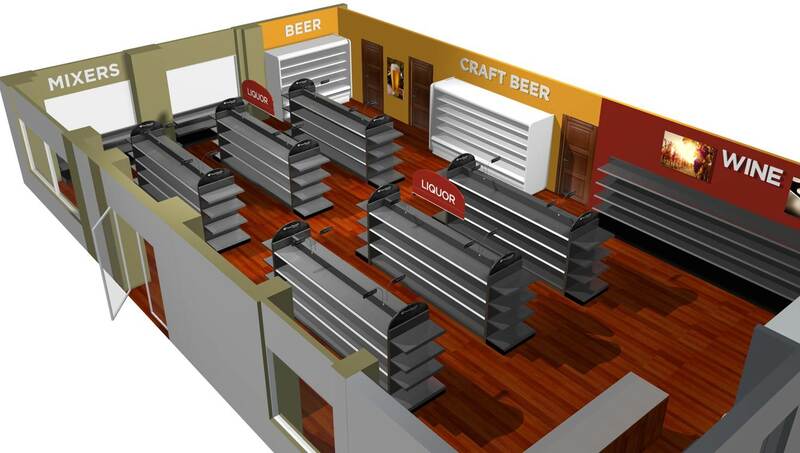 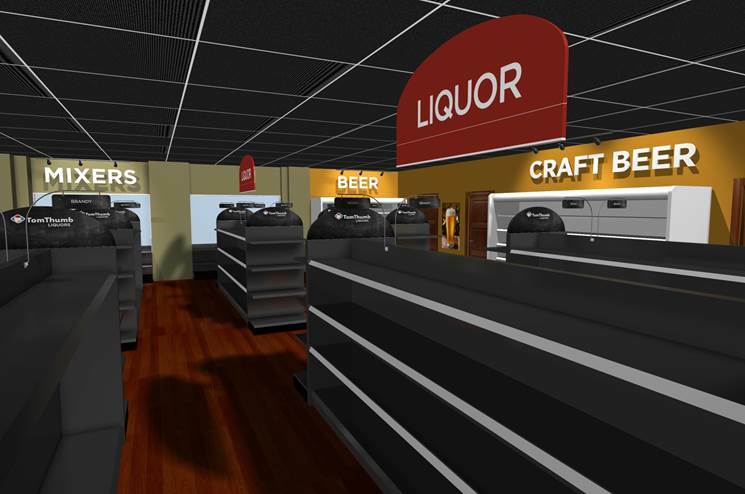 We turned a training center into a one-of-a-kind liquor store for Tom Thumb. 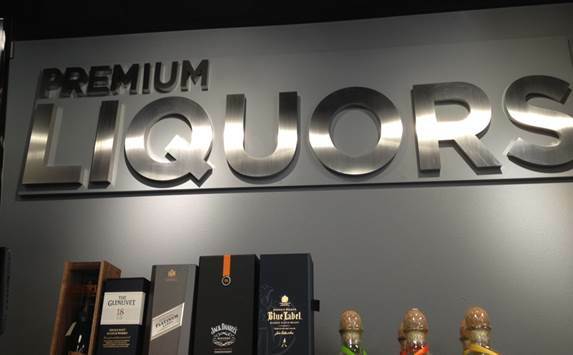 We went upscale with 3D stainless lettering. 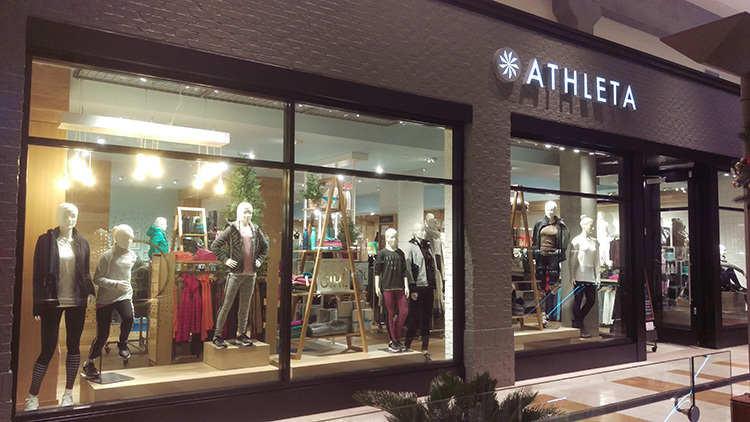 Starting a store from the ground up, we chose a sophisticated color palette. 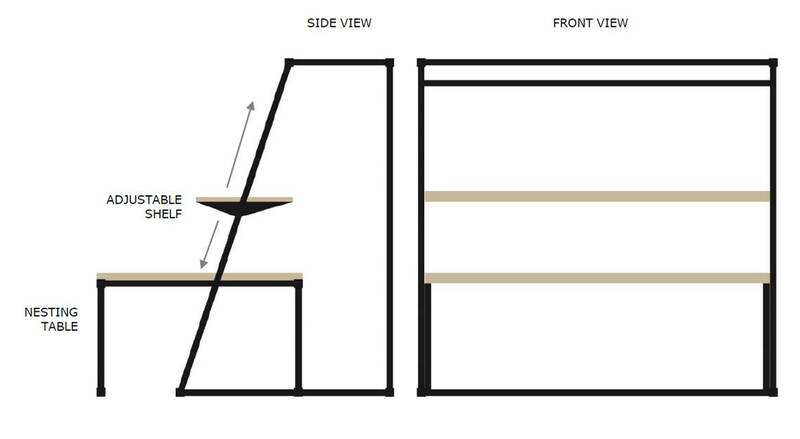 Elevation drawings show our methodology for organizing décor and highlighting merchandise. 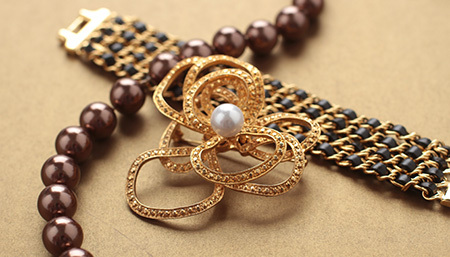 Designed to add interest in any shape you desire. 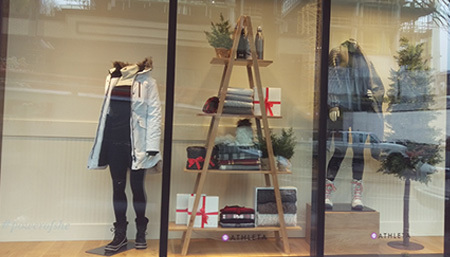 Takes the place of a traditional Christmas tree and works year-round to display merch. 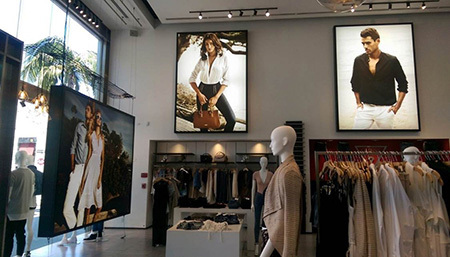 We are uniquely positioned to print exceptionally large images and create custom barricades – no matter the size needed. This image illustrates how we create fashion impact in store with large fabric backdrops and supporting lightbox idea. 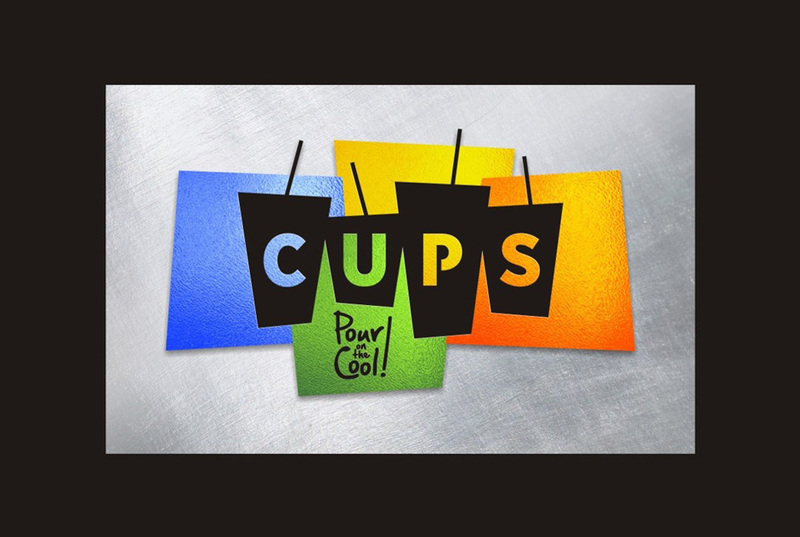 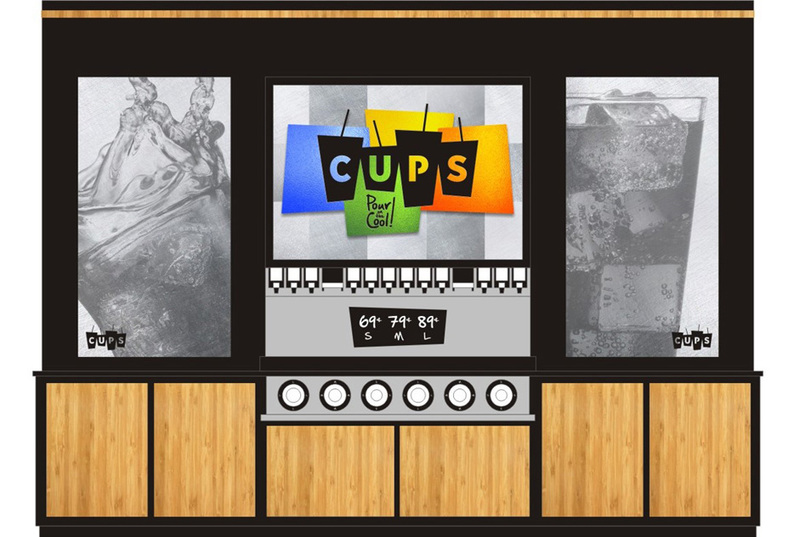 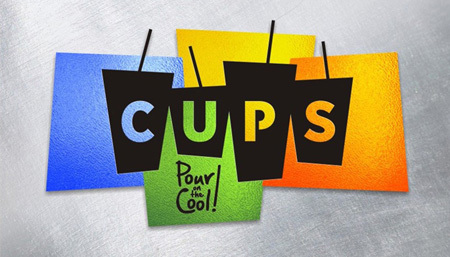 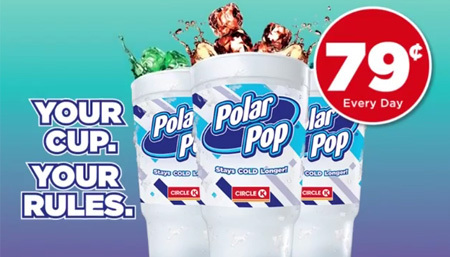 Cups, color and great copy are the essence of this fountain campaign. 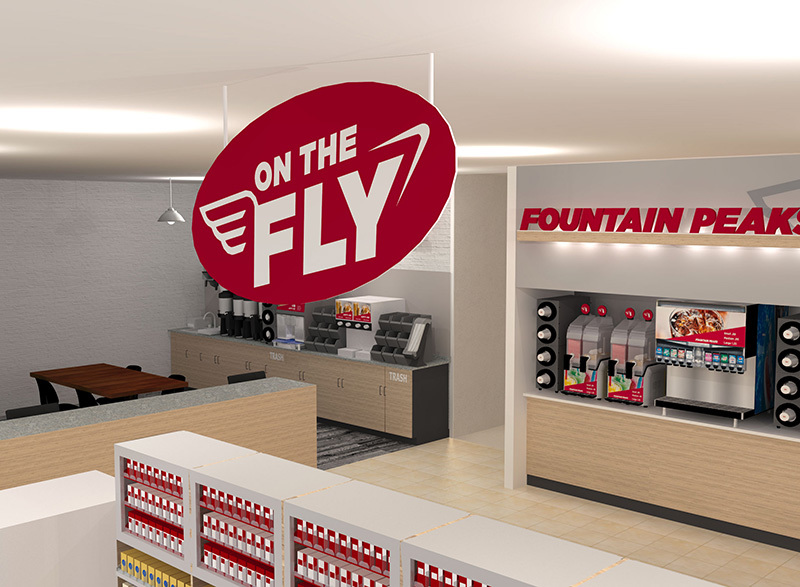 We envisioned a new colorful design to excite this store’s existing customer base and extend a welcoming hand to the millennials. 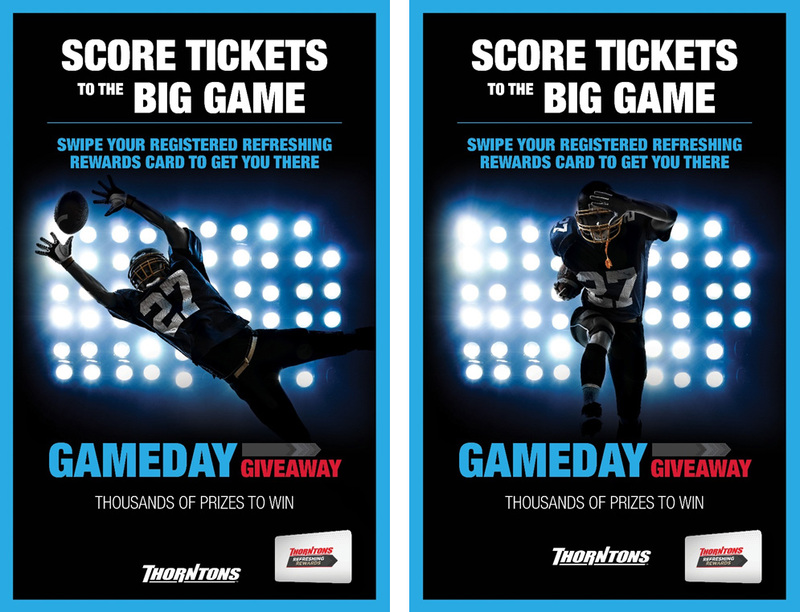 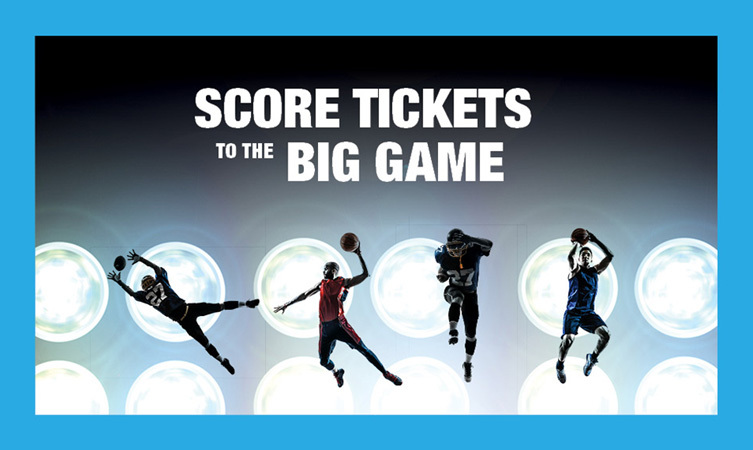 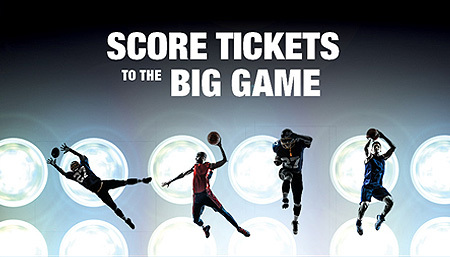 The following concepts illustrate the creation of a huge campaign centered around the Super Bowl and the Final Four. 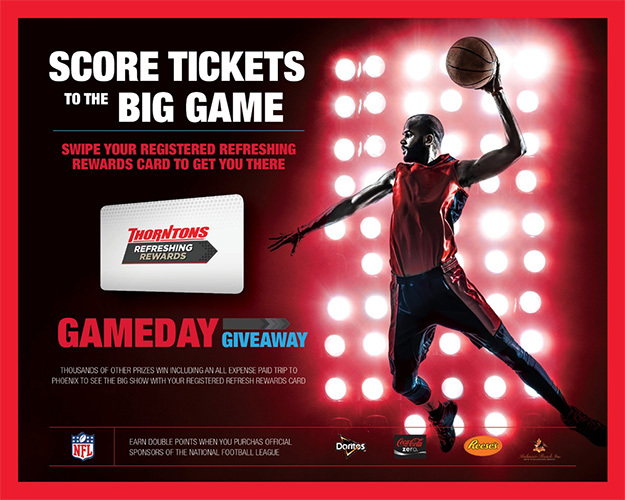 It was tied to product as well as the retailers loyalty program. 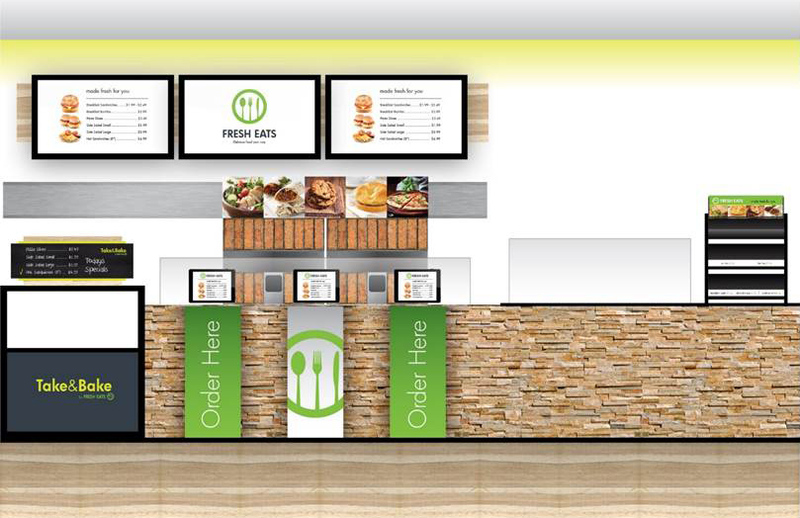 This sleek modular system features large menu panel graphics that can be changed easily without the use of tools. 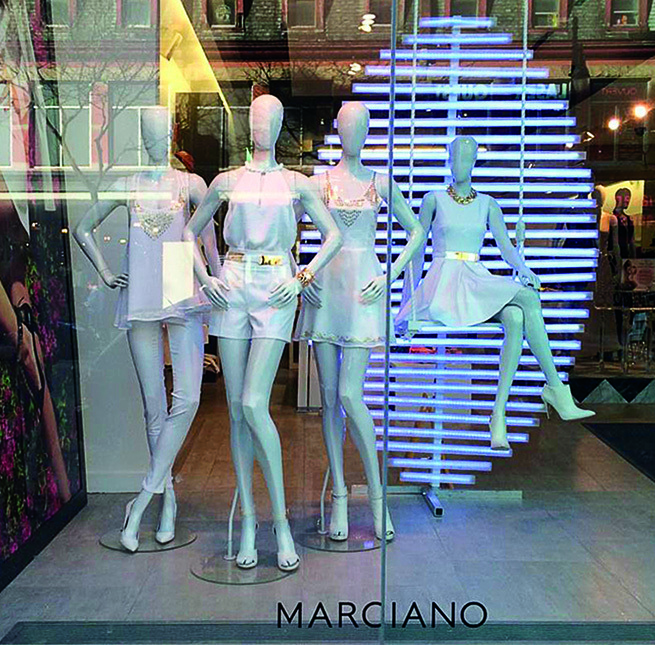 The innovative design can be produced in a wide variety of materials and finishes to match store décor and effectively promote your brand. 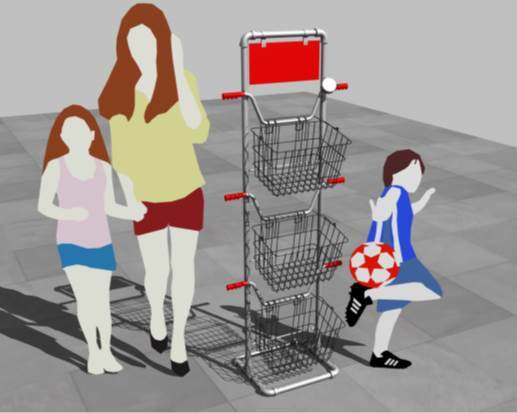 It can be expanded up to five panels to maximize larger spaces. 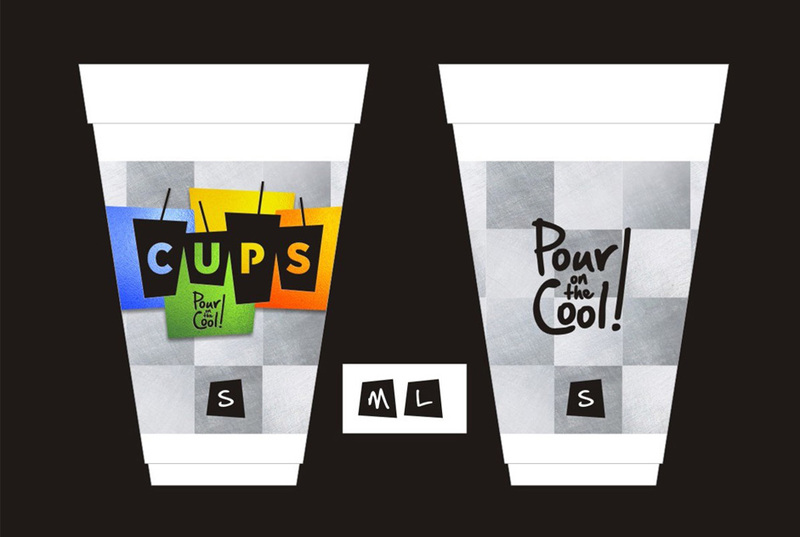 A graphic, modern way to do branding and get your message out. 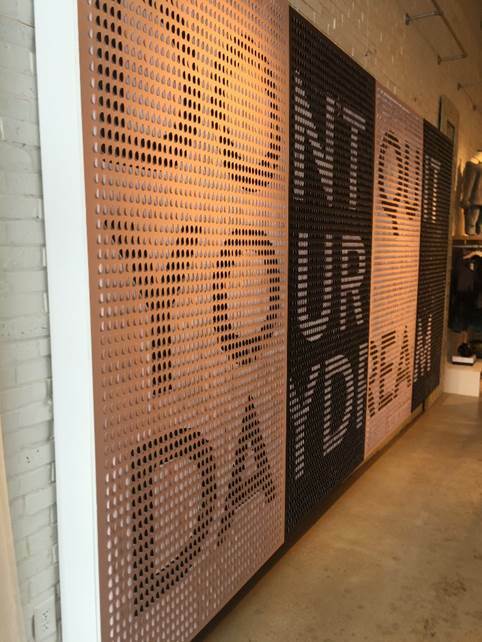 Reflective silver cardstock is peeled up to reveal a message on printed vinyl below. 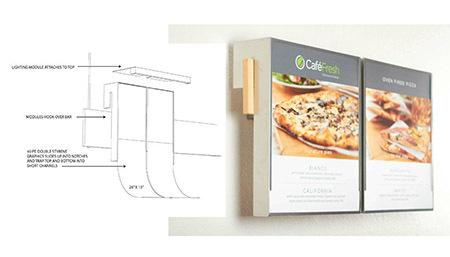 The art was mounted on backer board and offset about six inches from the wall to conceal and protect a permanent piece beneath it. 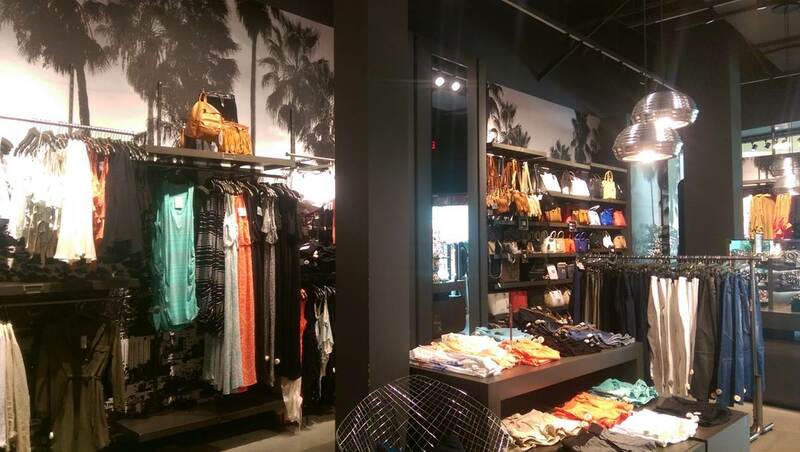 Our fixture allows you to create a trend statement with new merchandise and makes it easy to style. 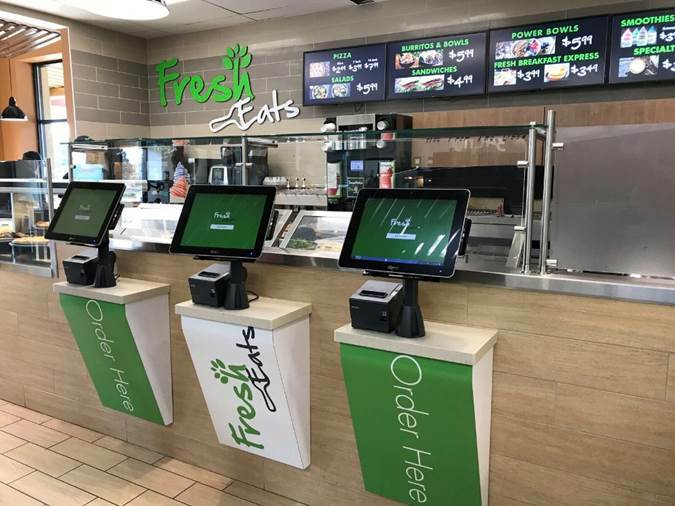 It has a great industrial look without being bulky and features an adjustable shelf with hanging space, as well as room for graphics. 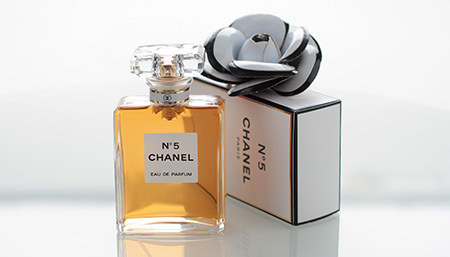 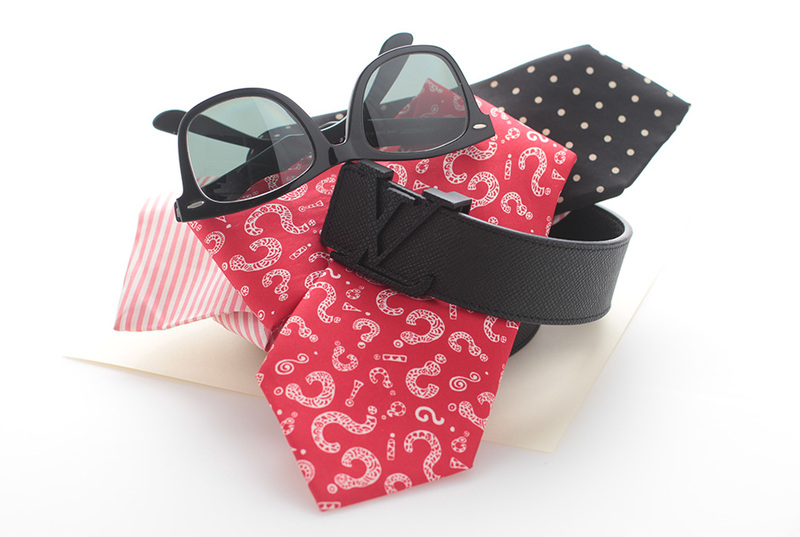 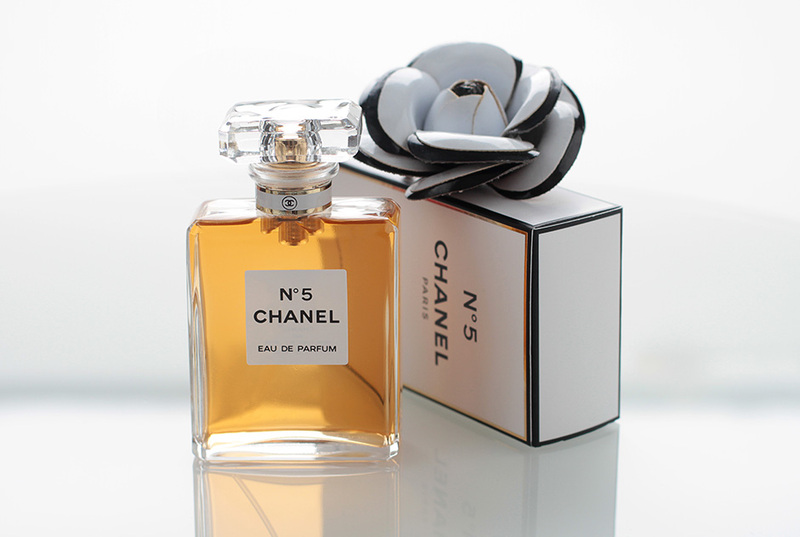 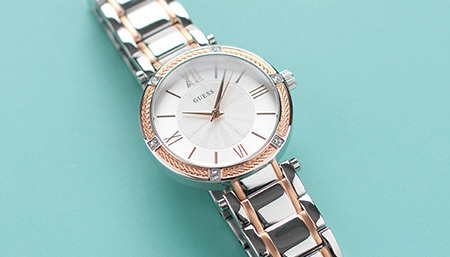 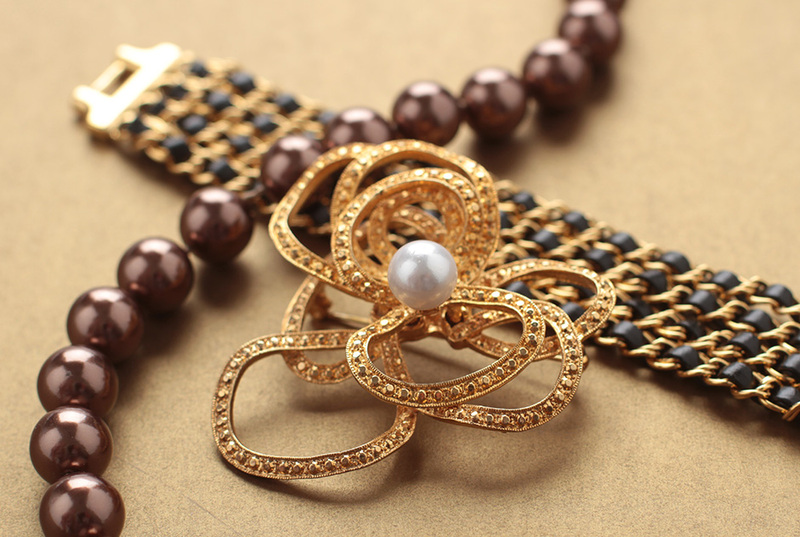 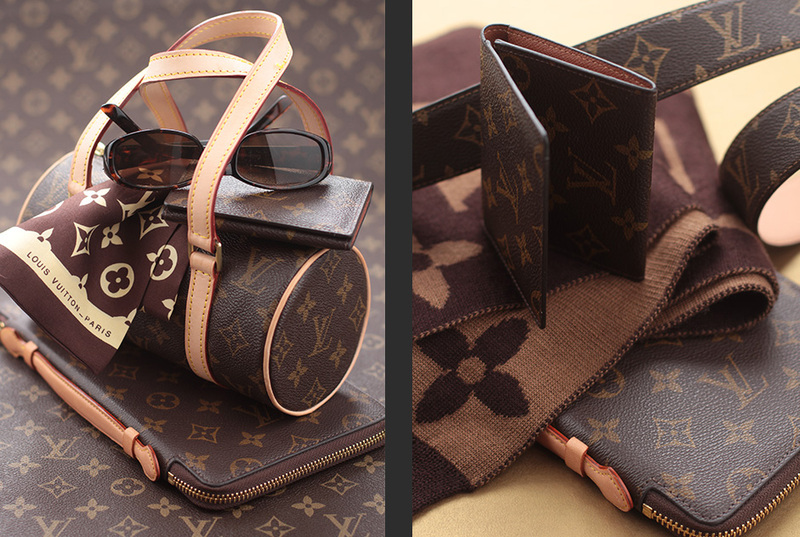 Product photography for your marketing collateral. 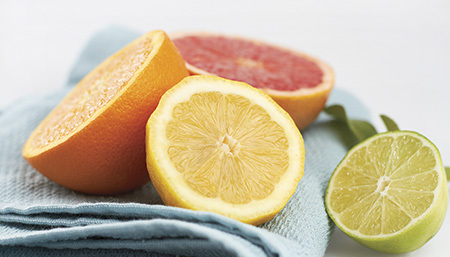 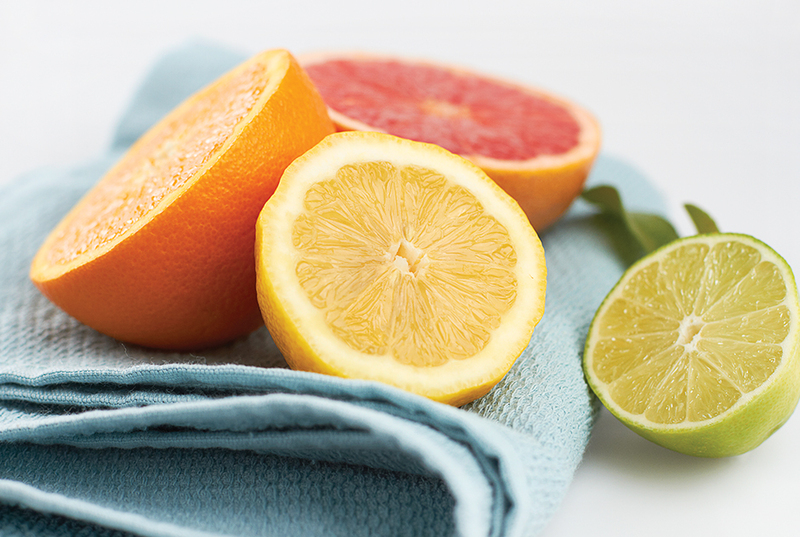 A fresh looking arrangement of sliced citrus fruit. 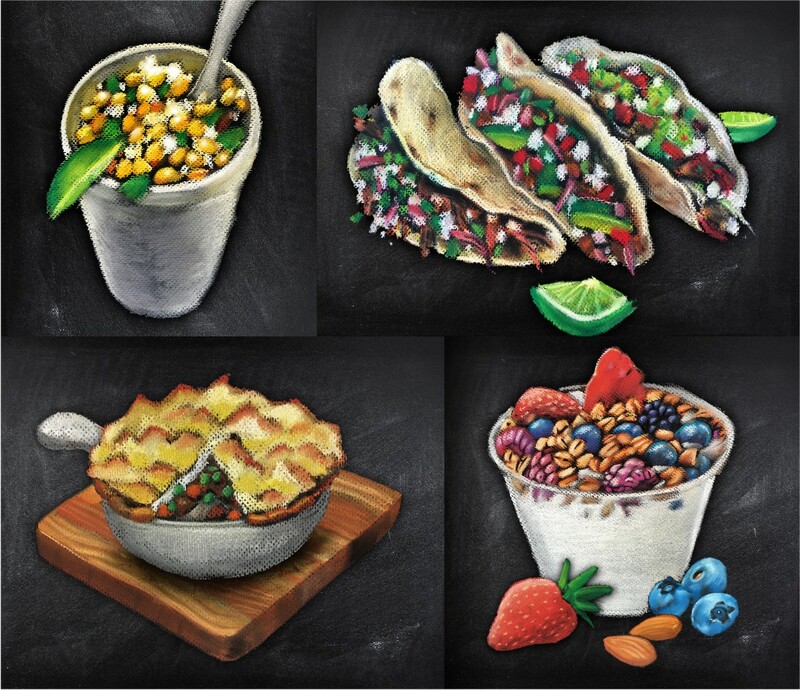 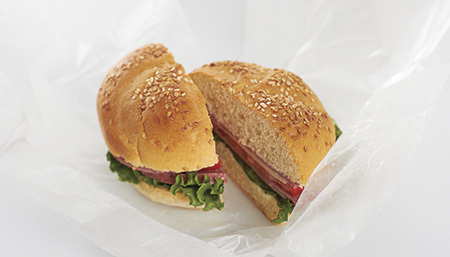 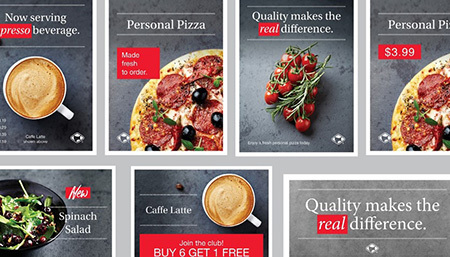 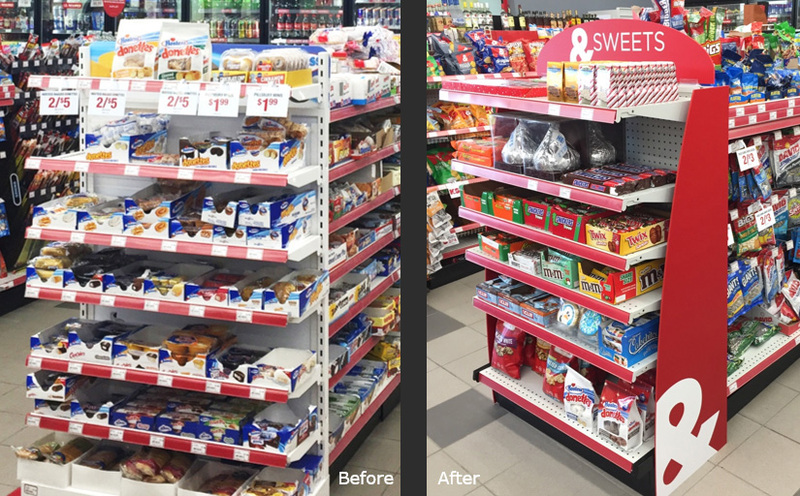 Using beautiful lifestyle photos focused on fresh, allowed us to develop a way to guide customers towards healthier convenience store food choices. 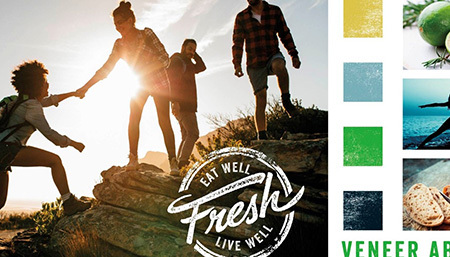 Developing a new brand font, colors, photography and POP template helped us create the perfect fresh look campaign for a popular grocery retailer. 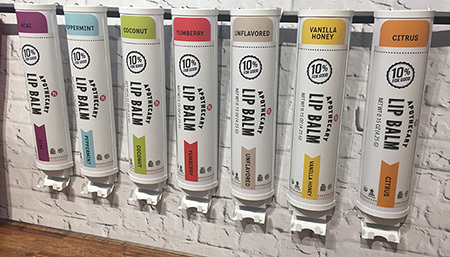 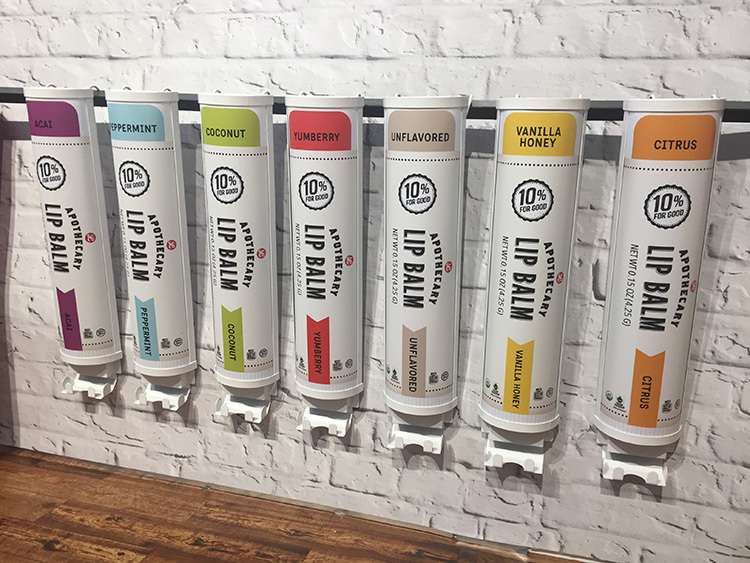 Our easy-loading, wall-mounted lip balm dispenser was custom made and branded to direct the customer straight to his or her favorite flavor. 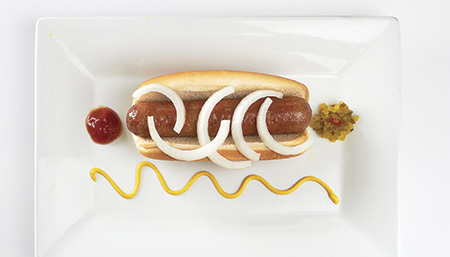 A fresh perspective on a traditional hot dog. 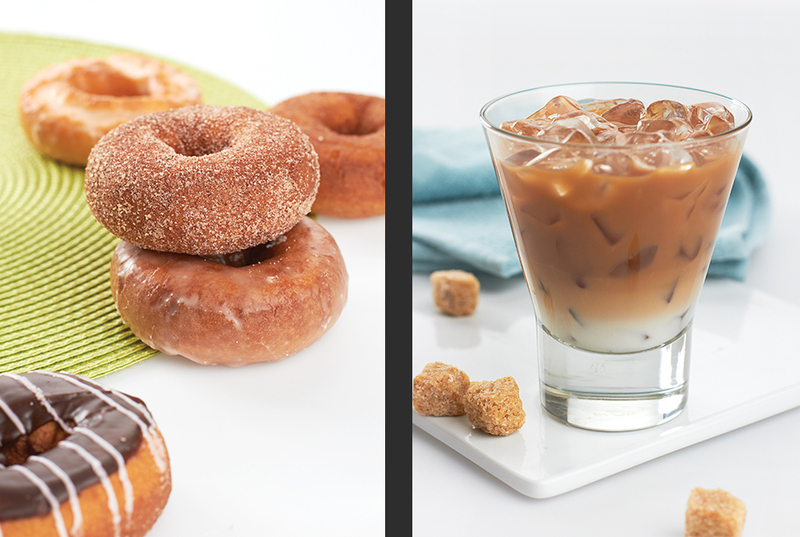 A simple composition of donuts and iced coffee with sugar cubes. 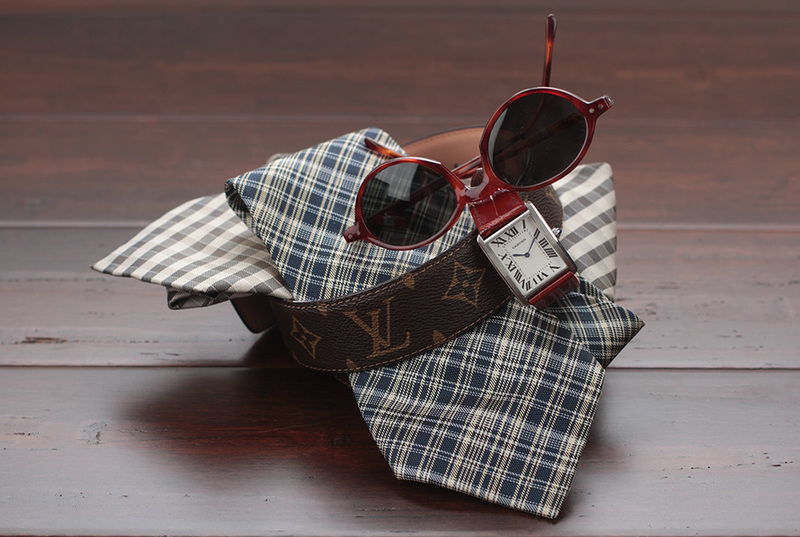 Arranging product to tell a photographic story and set the mood. 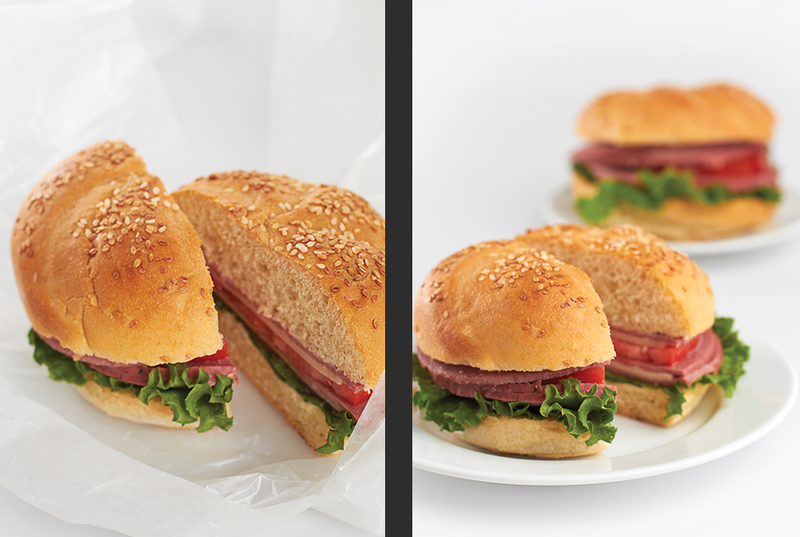 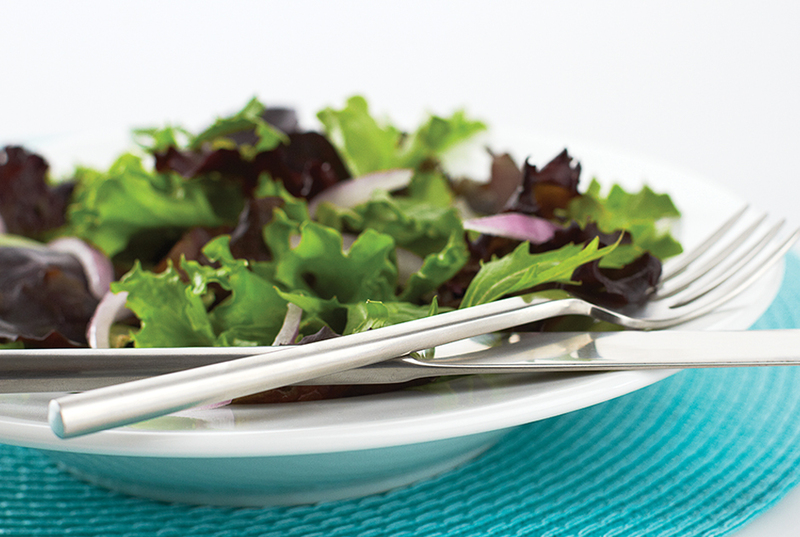 Using selective focus helps make the image look more appetizing. 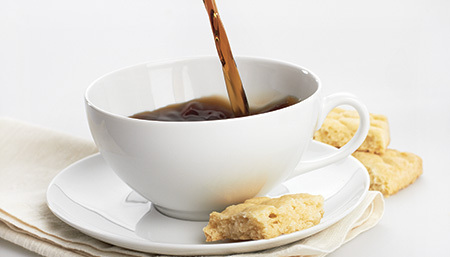 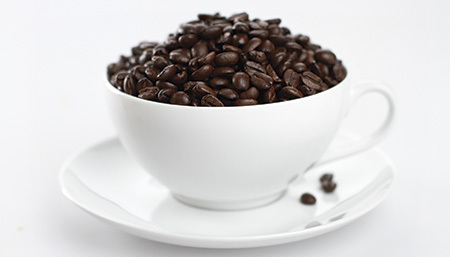 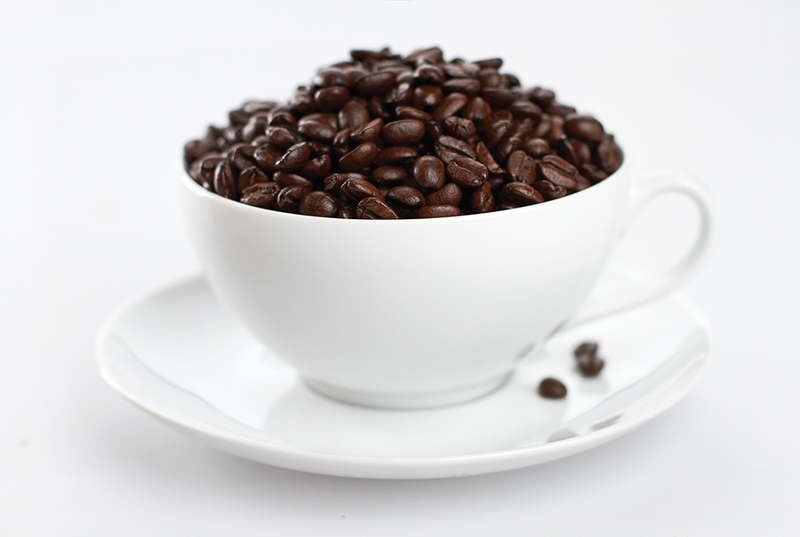 A cup of beans tells the coffee story in a non-traditional way. 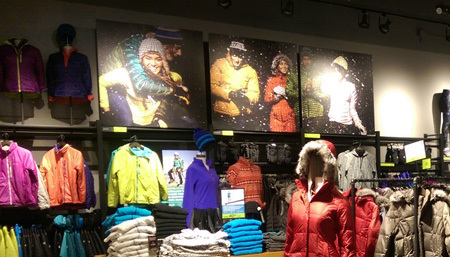 Let your photographs talk. 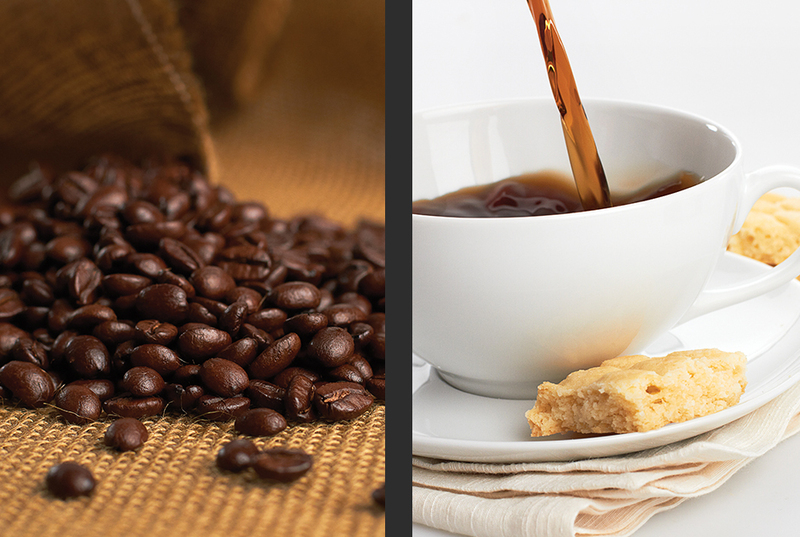 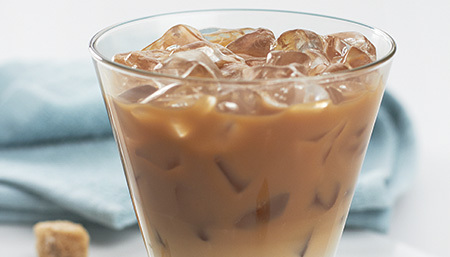 The shot of beans and the pour tell a short coffee story. 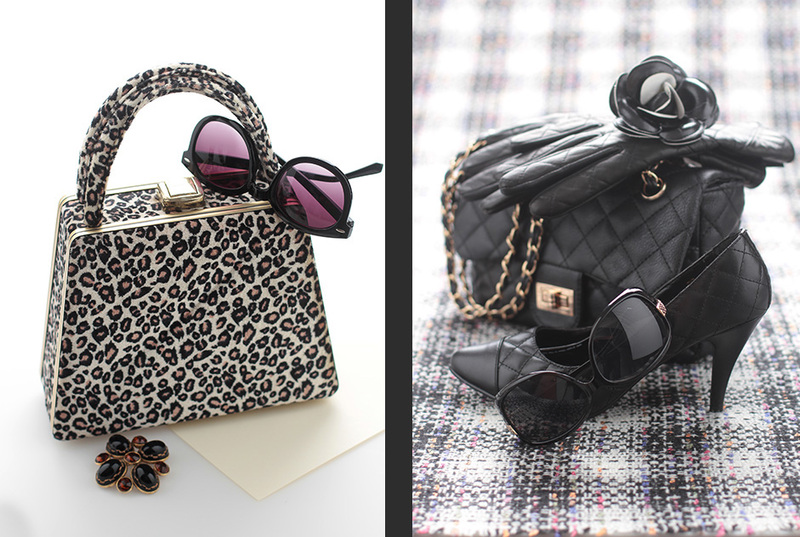 Art direction plays an important role here with the juxtaposition of these shots. 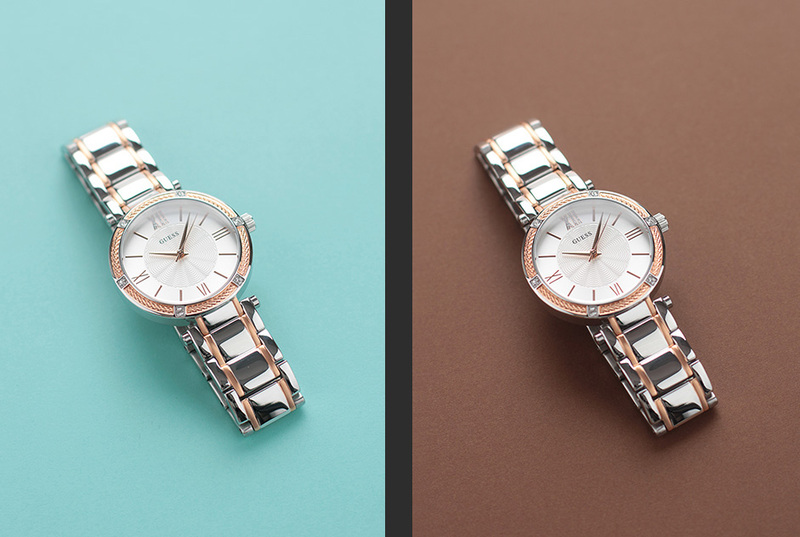 Telling a brand story through photography. 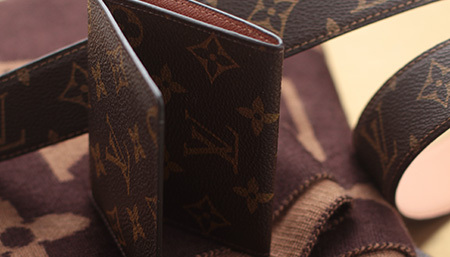 Forming your branding and identity through the use of photography. 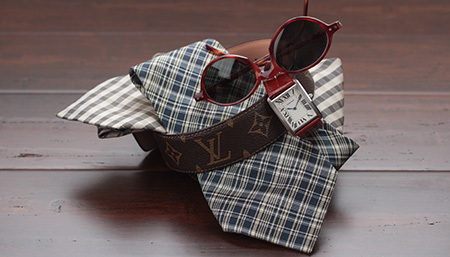 Making a unique statement through product pairings. 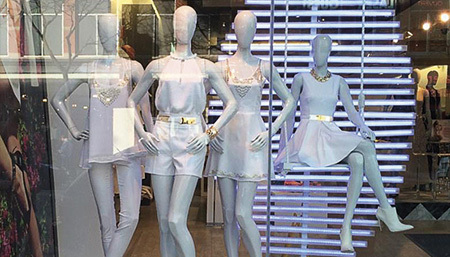 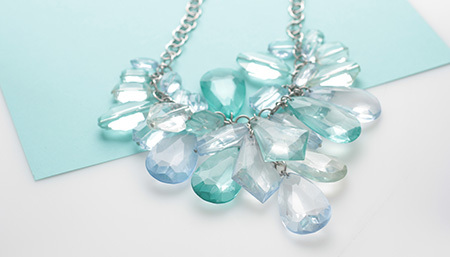 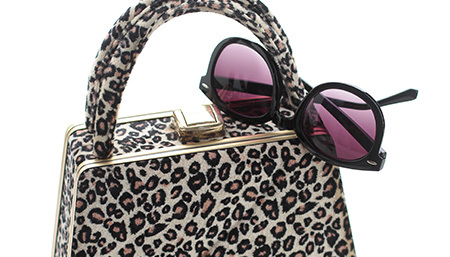 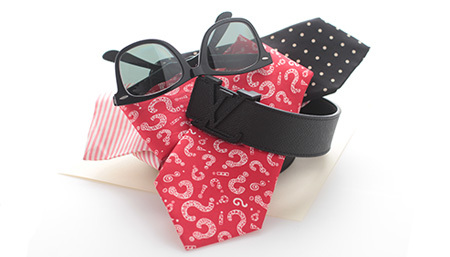 Use product in a new way to showcase trends or the color of the moment. 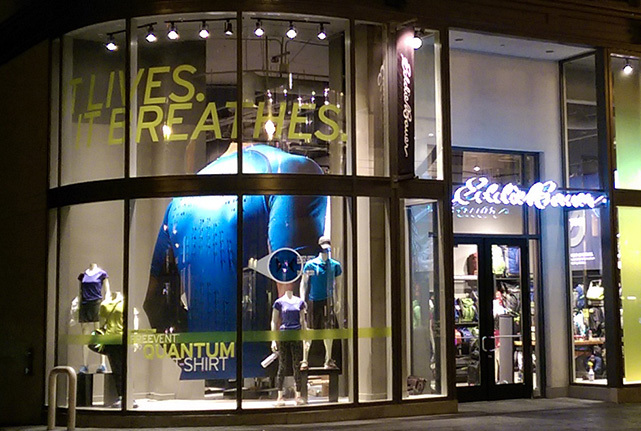 To help promote Eddie Bauer’s new Quantum T-shirt, our Great Big Pictures team created this larger-than-life shirt display for the brand’s flagship Post Street San Francisco store. 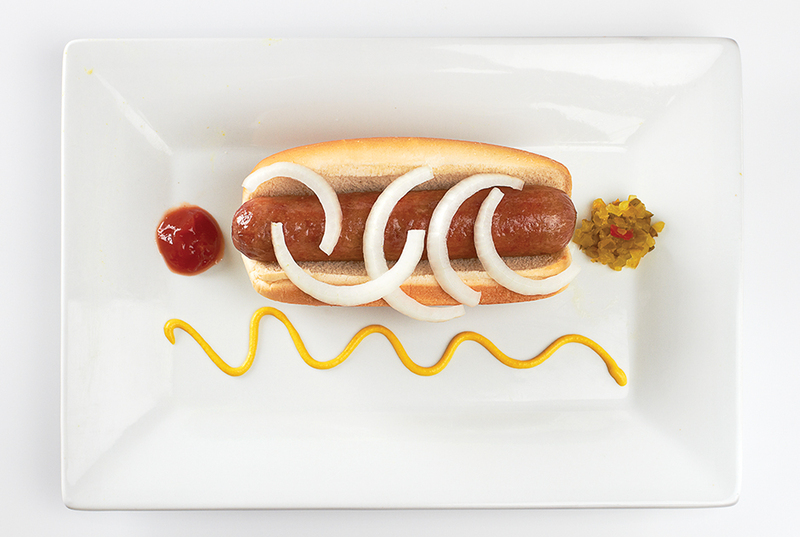 Shooting on all white makes the food the hero. 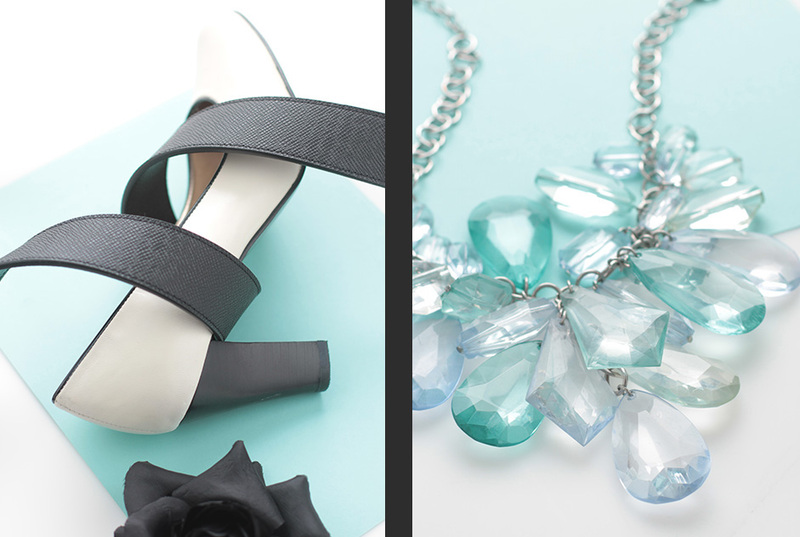 Use props to create just the right look for your photos. 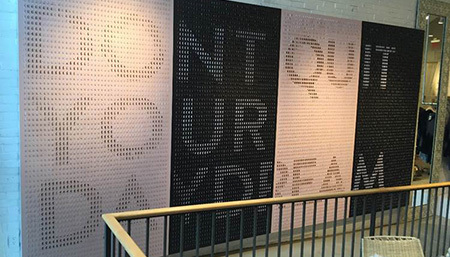 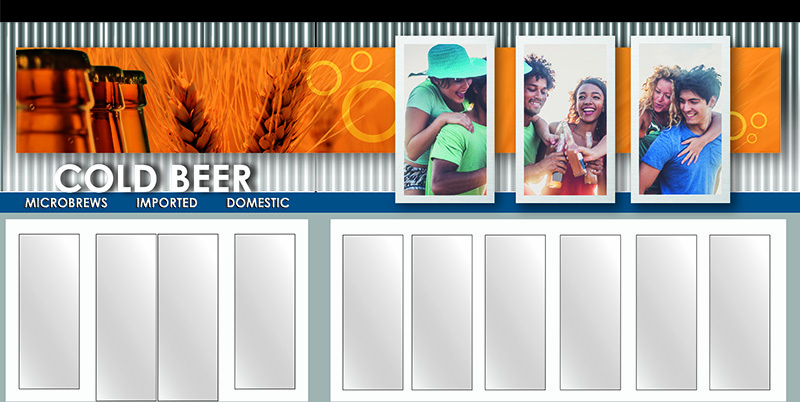 Versatile, frameless system is easy to use and update with magnetic receptive graphics. 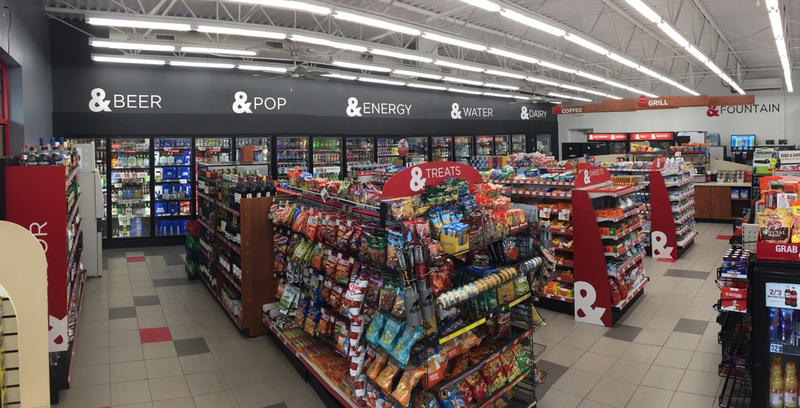 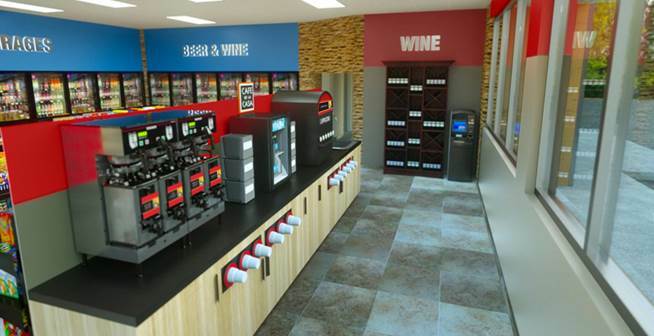 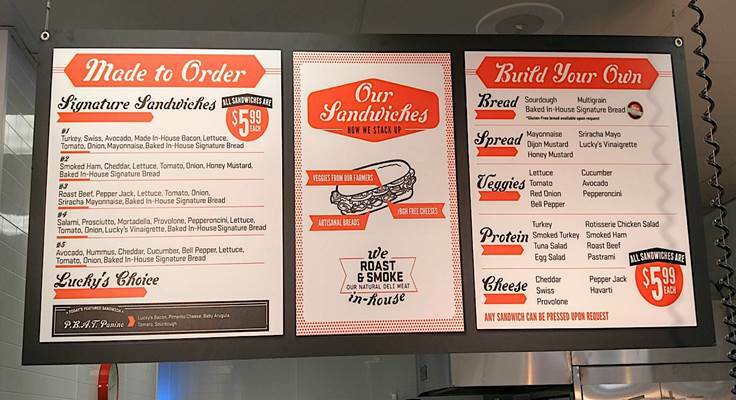 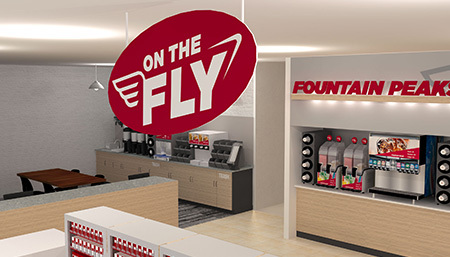 Our retail environments team matched brand elements from Kum & Go’s new marketplace stores and brought the same look into their legacy stores for less. 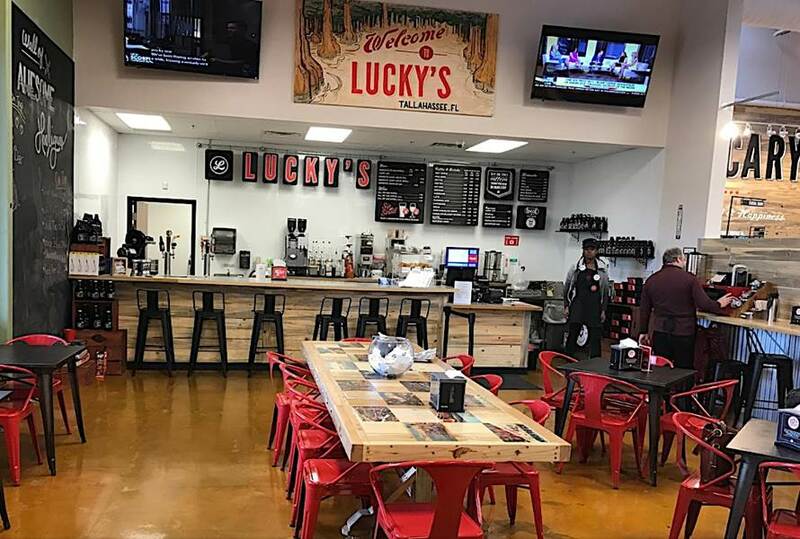 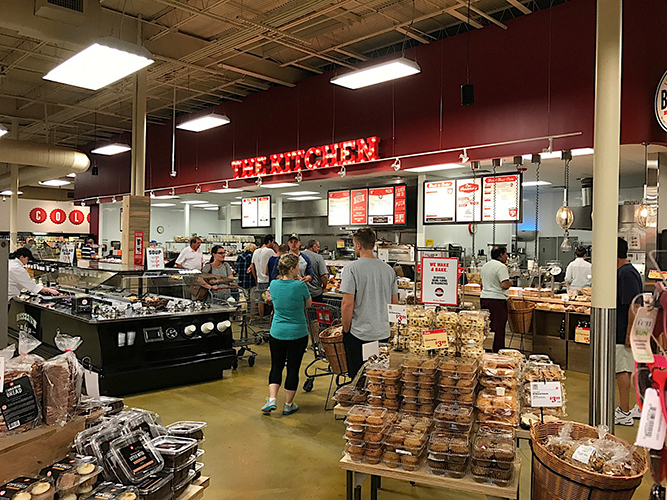 We are helping Lucky's Market produce and install new store decor, menu systems and wayfinding signage throughout the store. 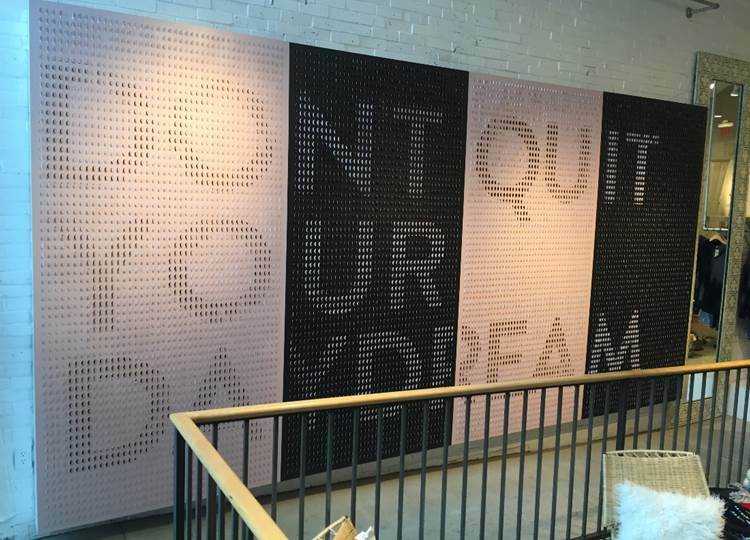 Printing lifestyle images on fabric makes it easy for employees to self-install. 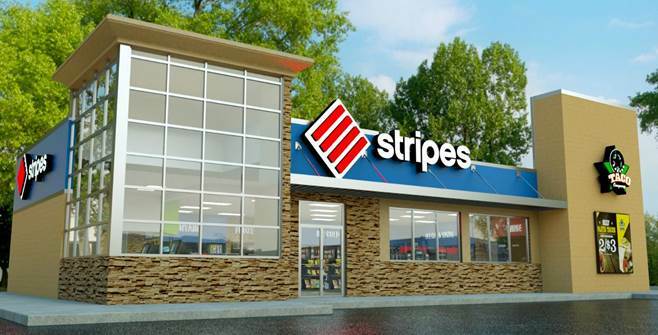 We rebranded Stripes’ Kingwood store after the site was acquired to bring it up to standards. 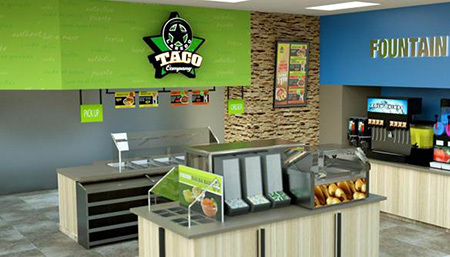 Our work included interpreting the brand in this new, larger footprint with color vinyl graphics, a lit Laredo Taco Co. sign and more. 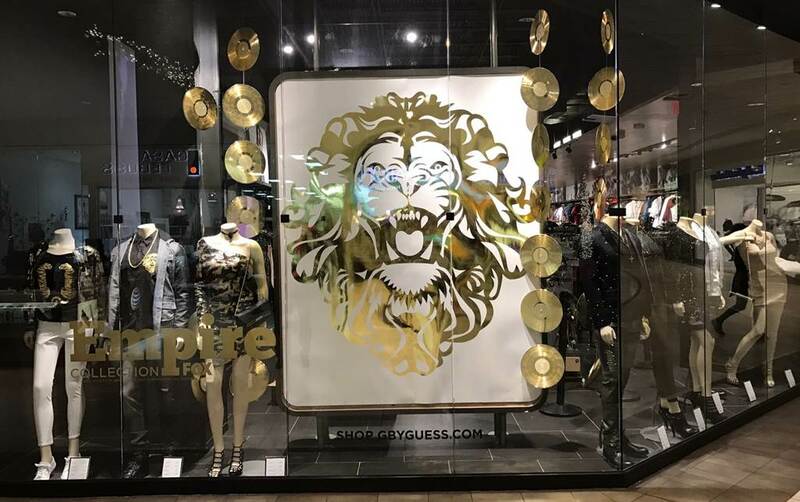 We strung gold records to form a curtain of danglers around a large, framed logo graphic for the G by Guess window. 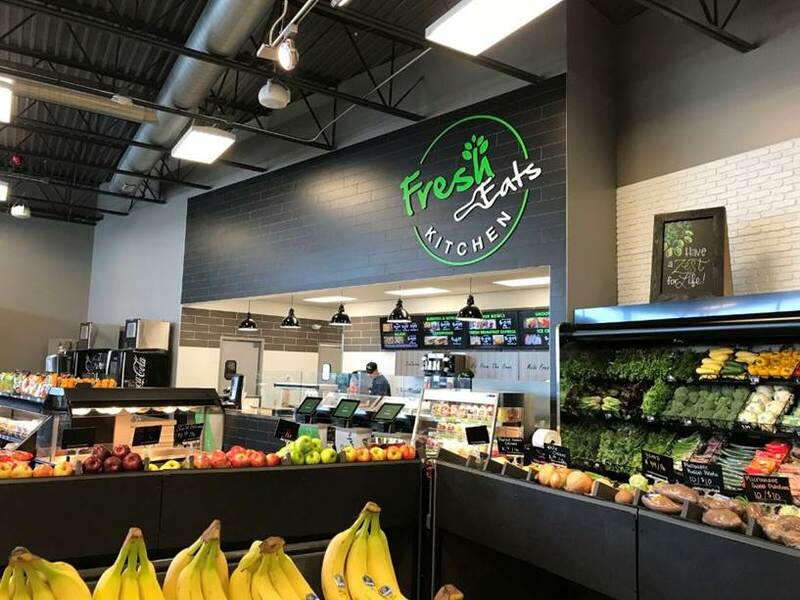 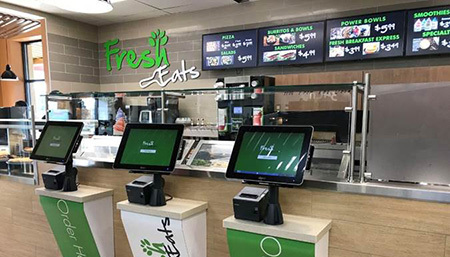 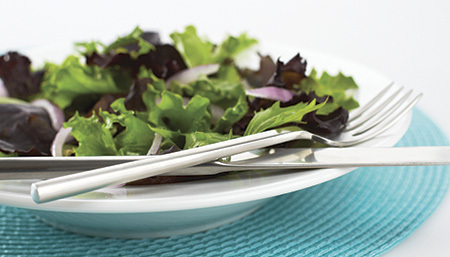 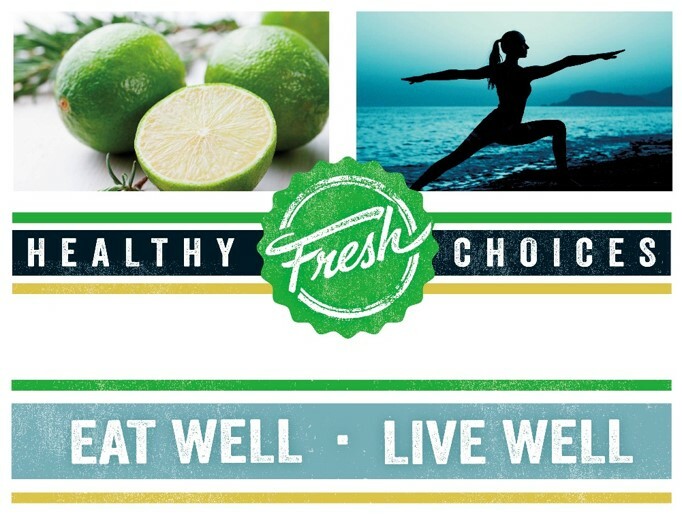 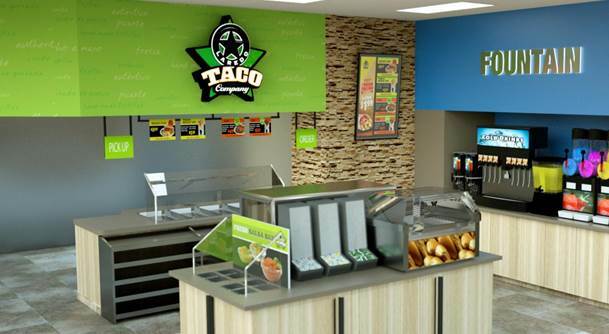 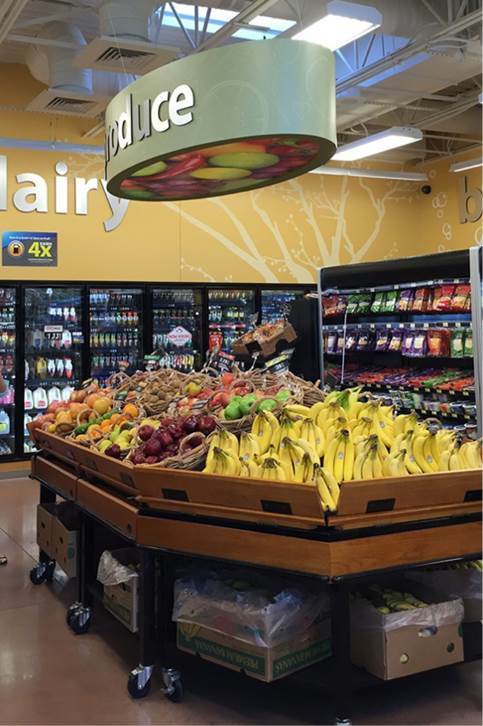 We're proud to help Kroger with the rollout of their new store concept, Fresh Eats Kitchen. 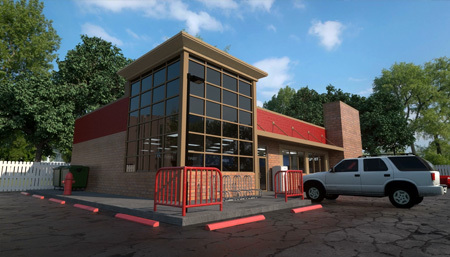 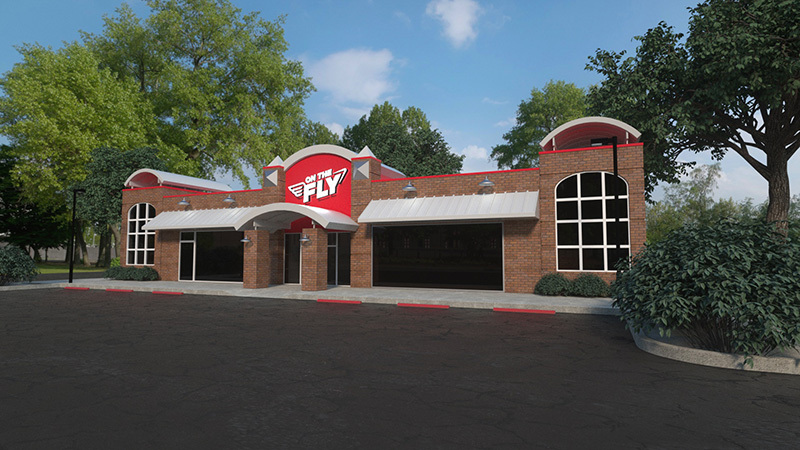 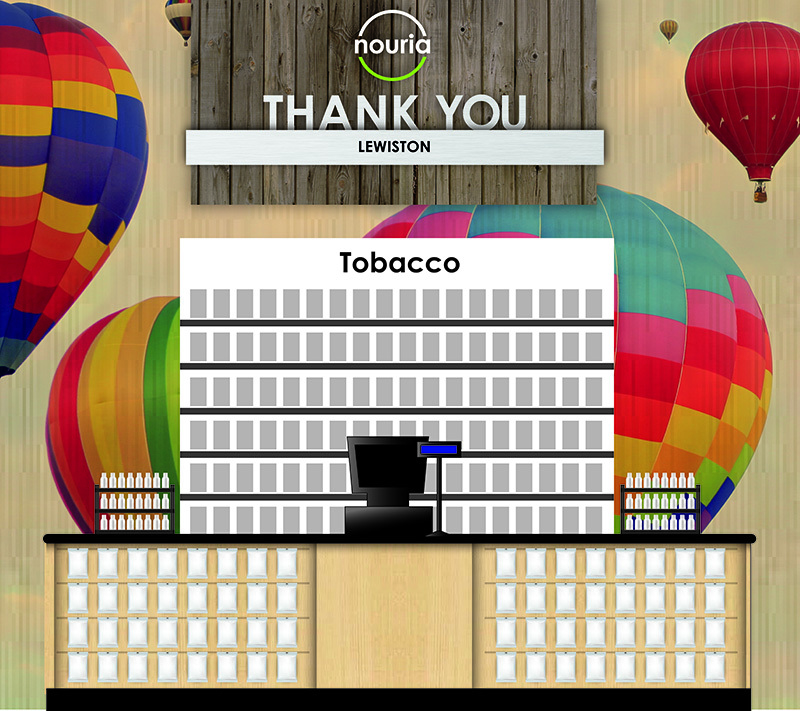 We started with a graphics package and elevation drawings to help create a modern and uplifting atmosphere. 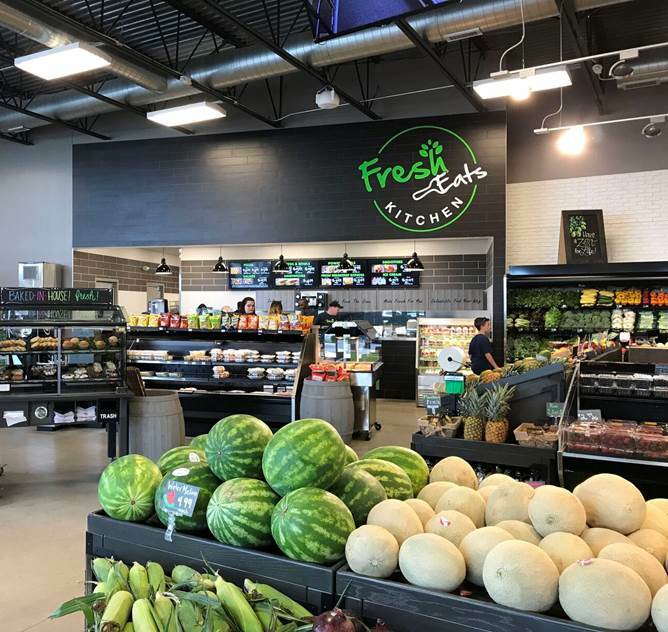 Bright green and crisp white underscore the brand’s emphasis on fresh and say that this is "a different kind of convenience store." 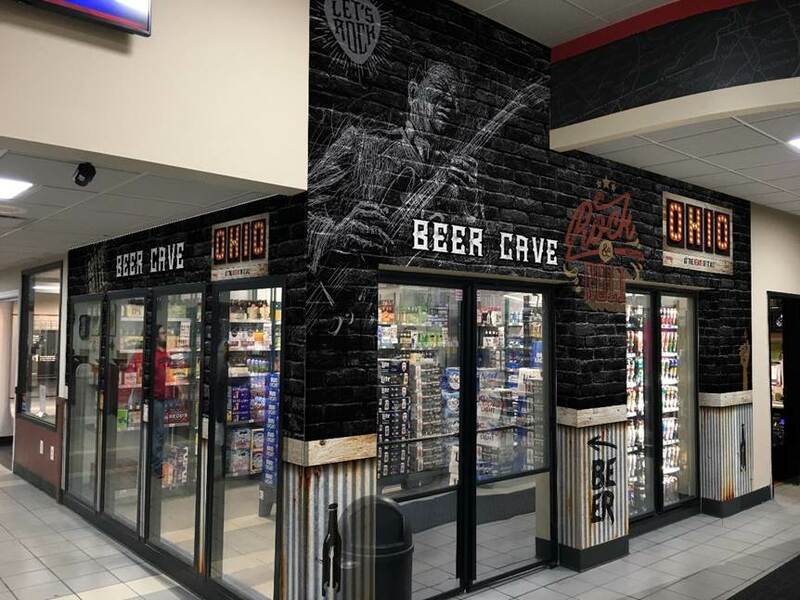 We created an in-store beer cave and customized it for the Travel Centers Cleveland-area location with graphics that represent Ohio’s contribution to rock 'n roll. 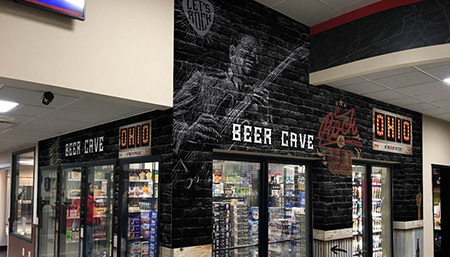 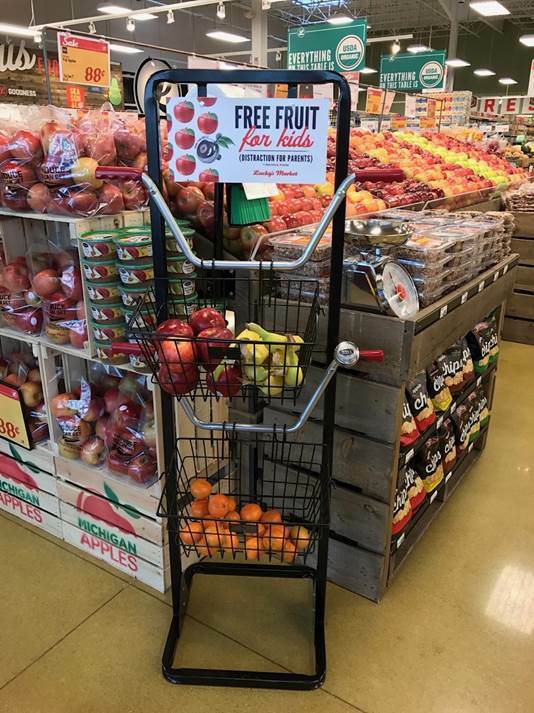 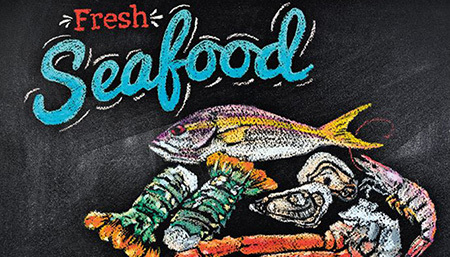 Original, hand-drawn chalkboard art grabs the attention of the customer and gives this large retail chain a hometown, community feel. 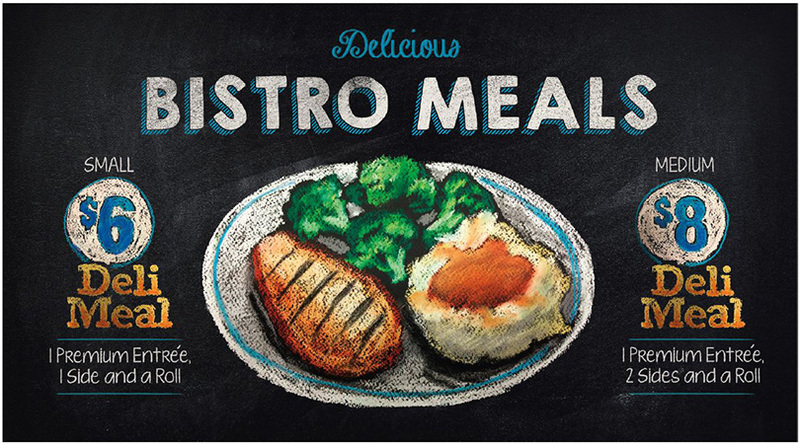 The chalkboard look was incorporated into their menu system. 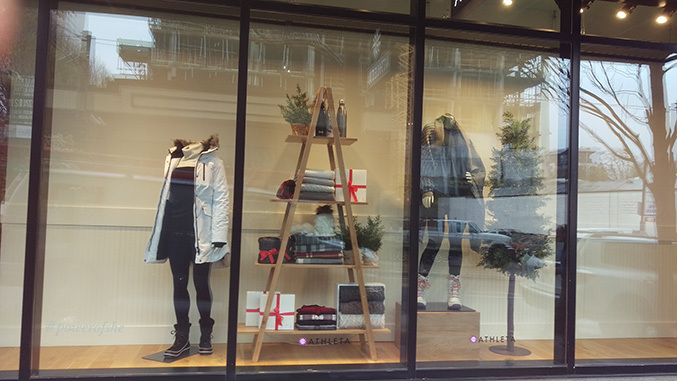 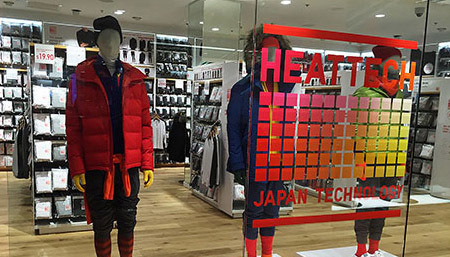 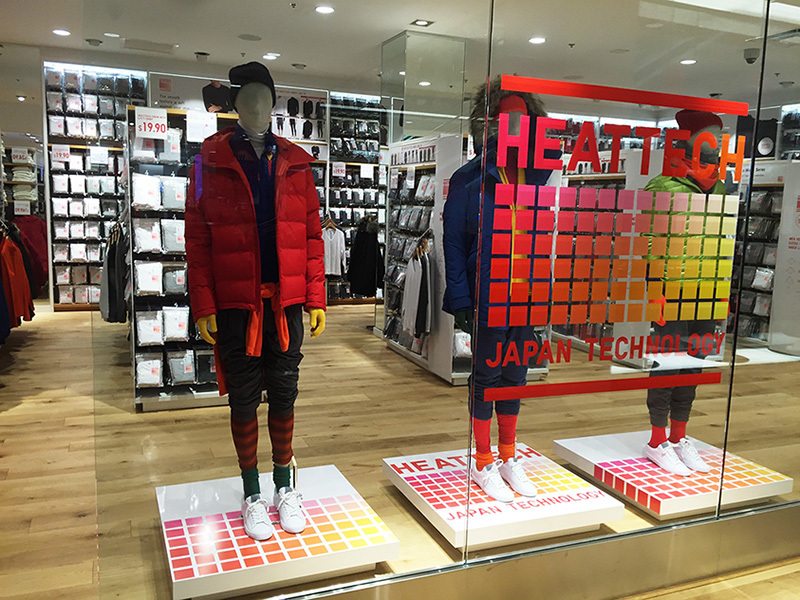 We were proud to provide the installation for one of Uniqlo’s largest stores, adding graphics, lit displays and end caps. 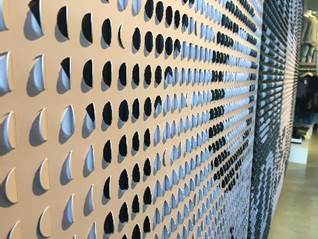 3D metallic triangles in staggered heights are lit from within to form modern icicles. 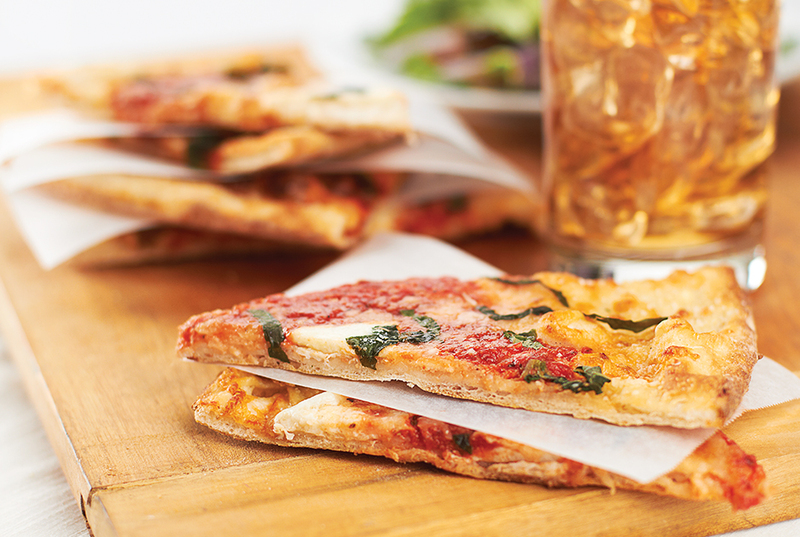 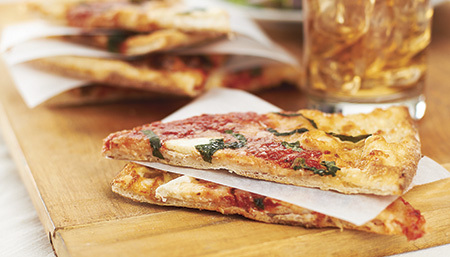 The simplicity of hot fresh pizza, a vintage cutting board and a beverage will make your customers hungry.